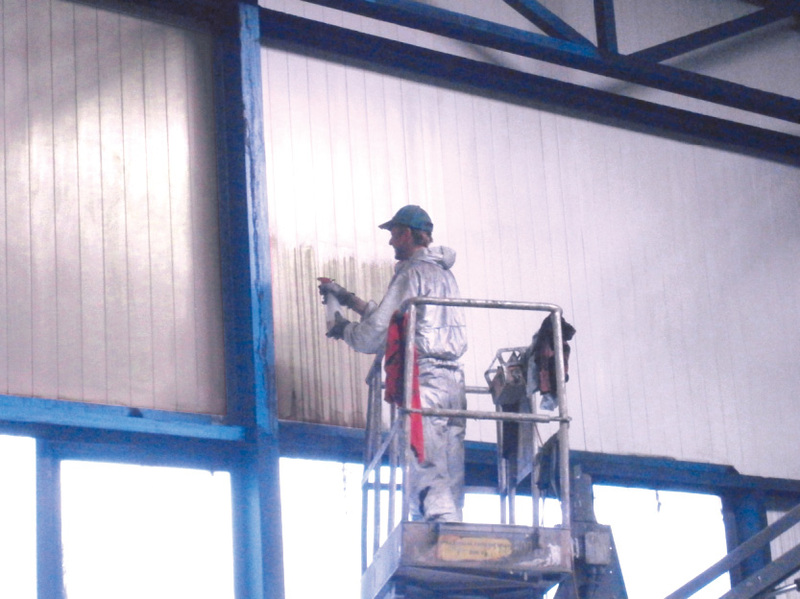 We paint and coat factory buildings in all branches of industry. 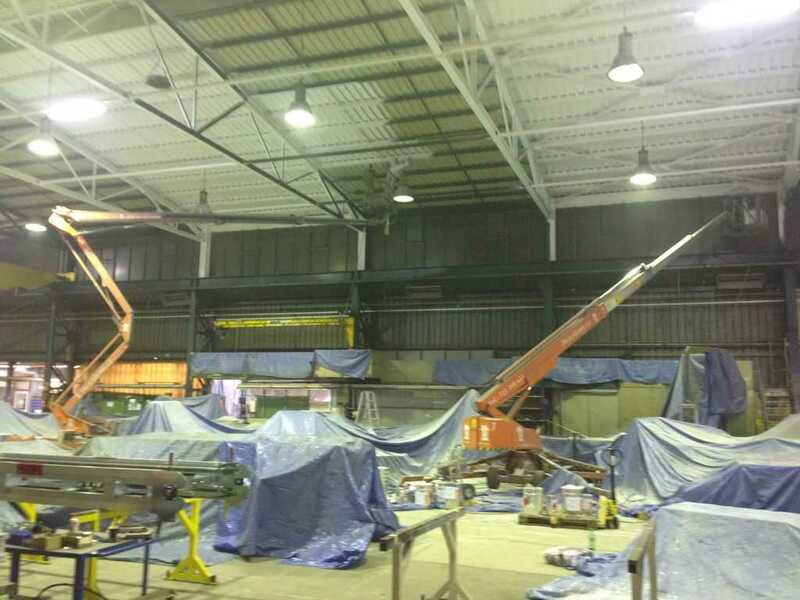 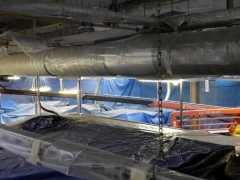 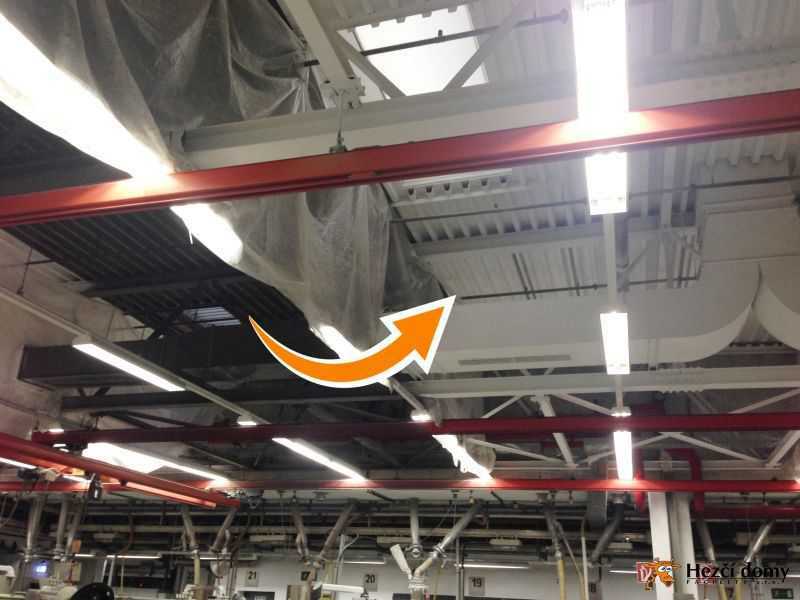 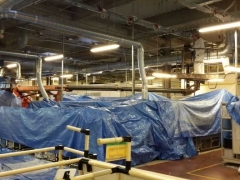 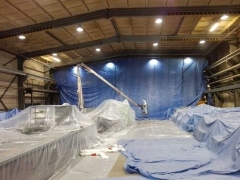 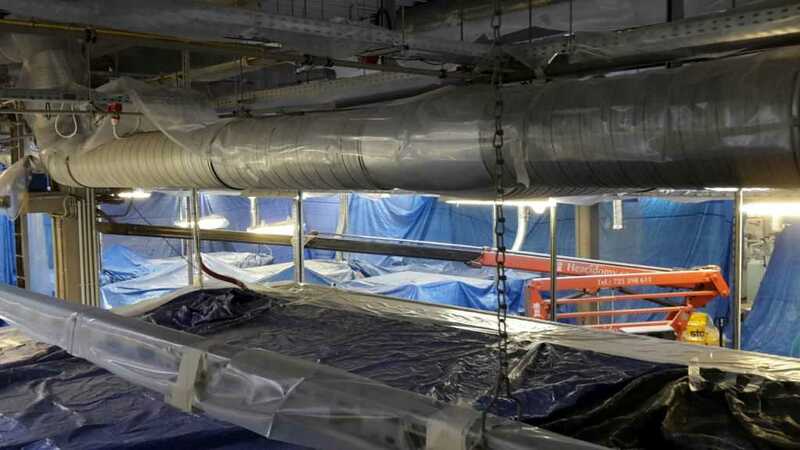 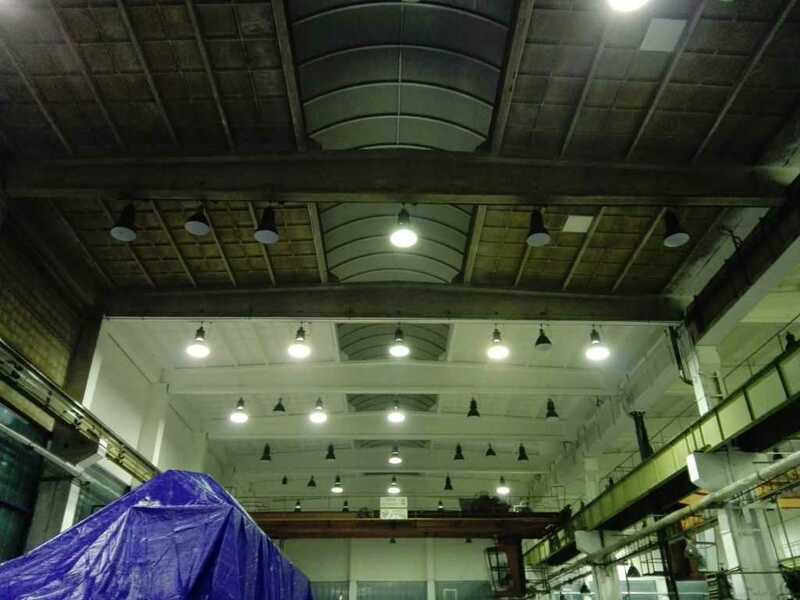 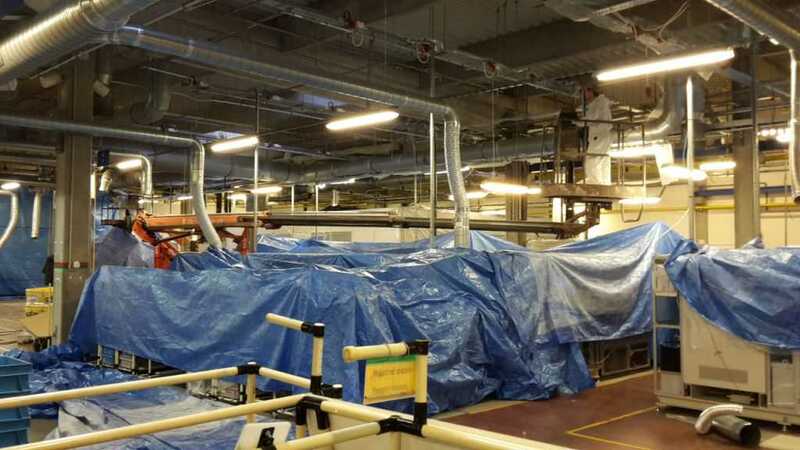 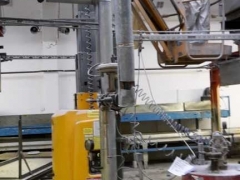 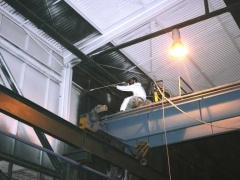 After 25 years of experience, we have dealt with several hundreds of factory buildings and dozens of manufacturing areas. 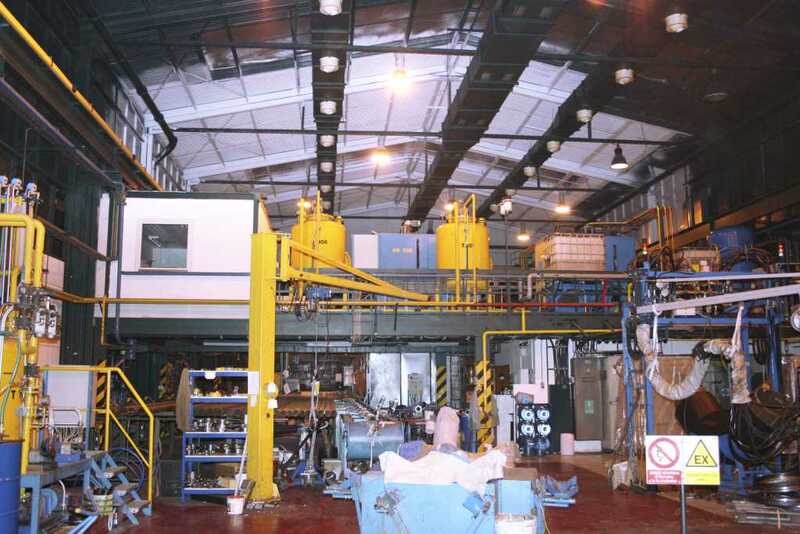 From foundries and weldings to clean optical or food-processing production. 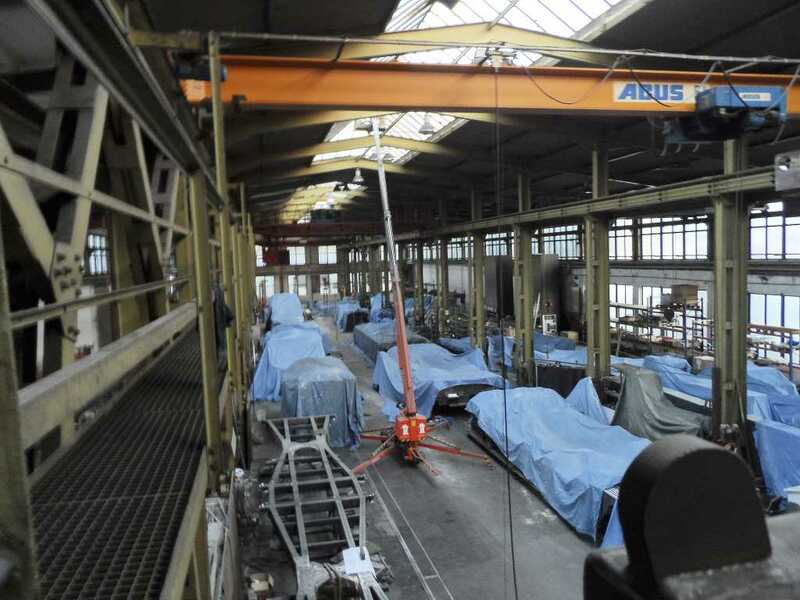 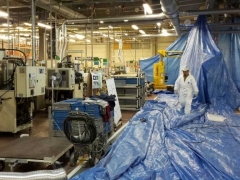 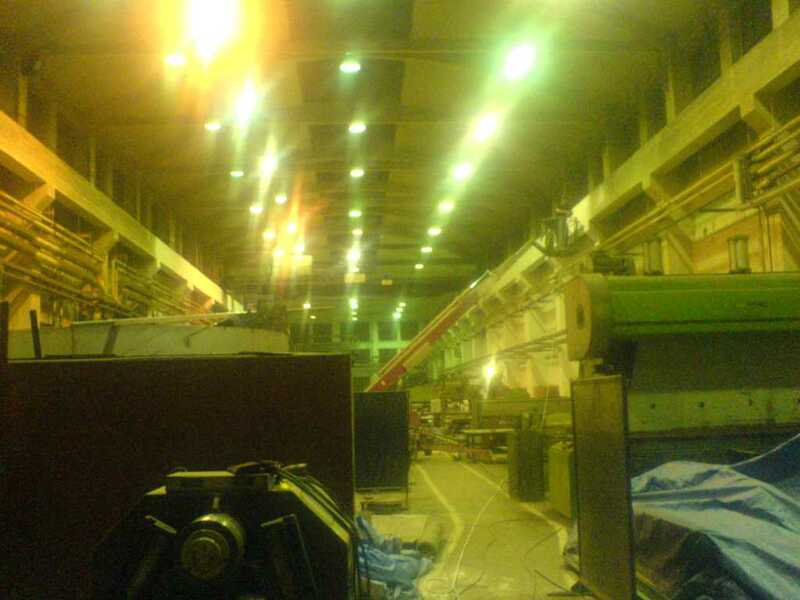 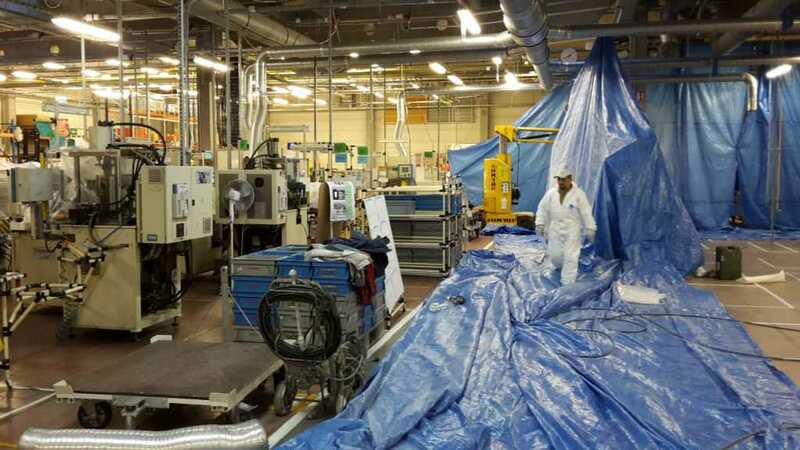 We work in very narrow and inaccessible manufacturing, storage and technological premises. 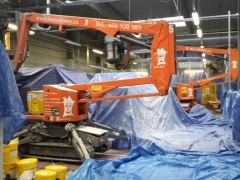 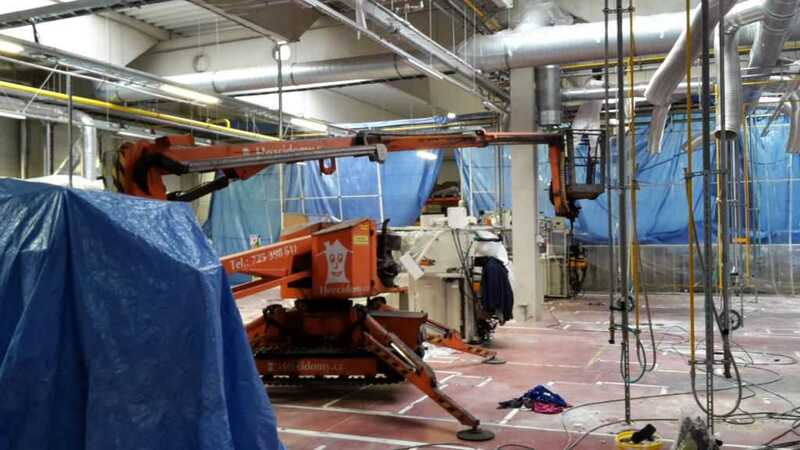 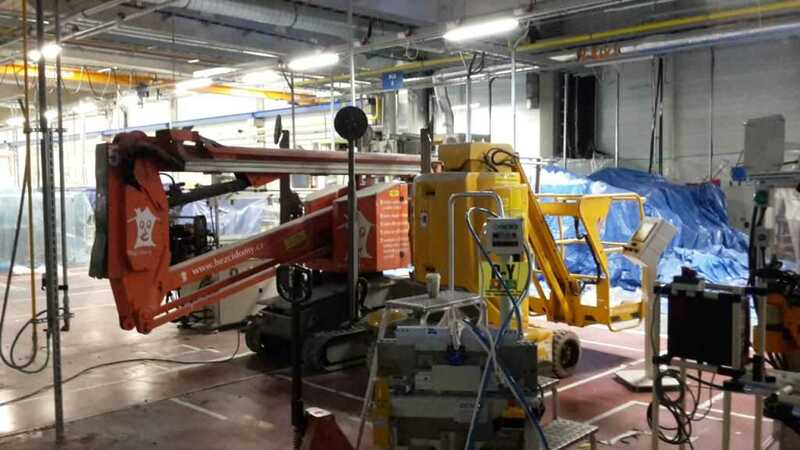 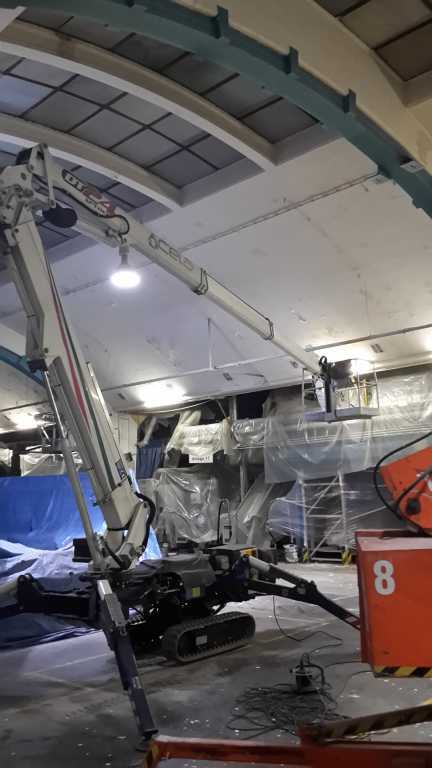 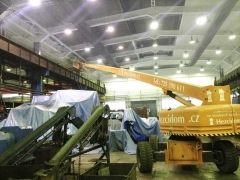 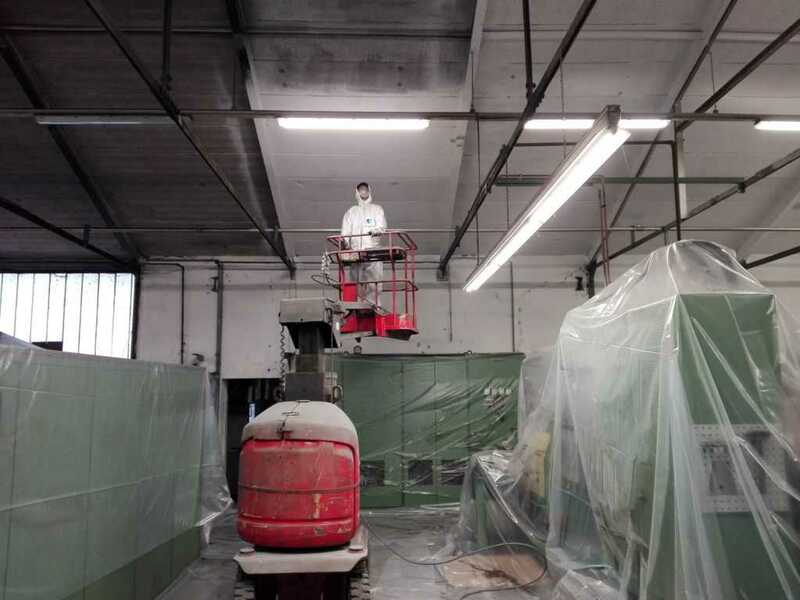 We paint and clean among machinery, material and final goods. 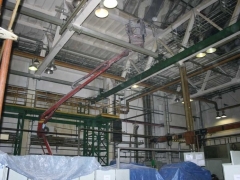 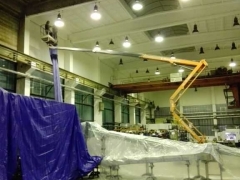 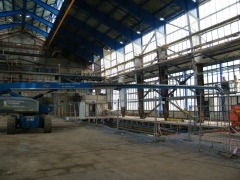 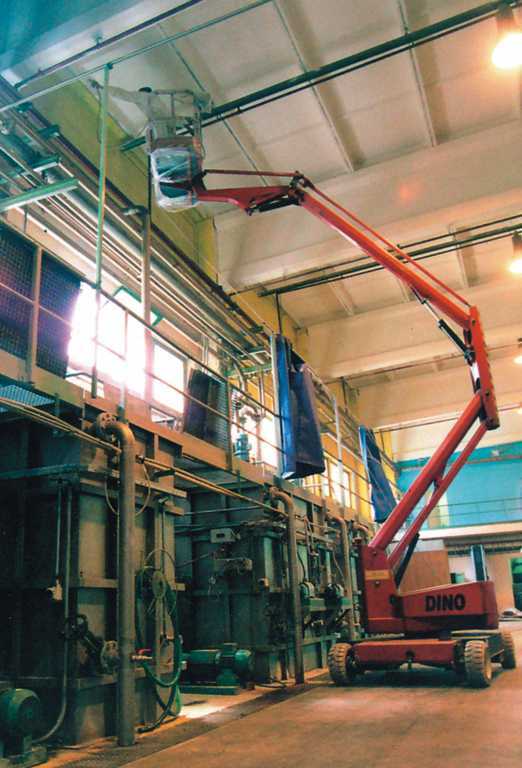 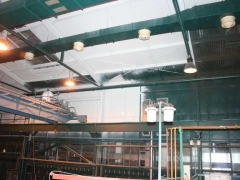 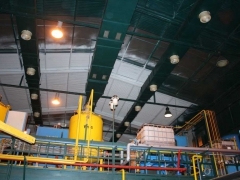 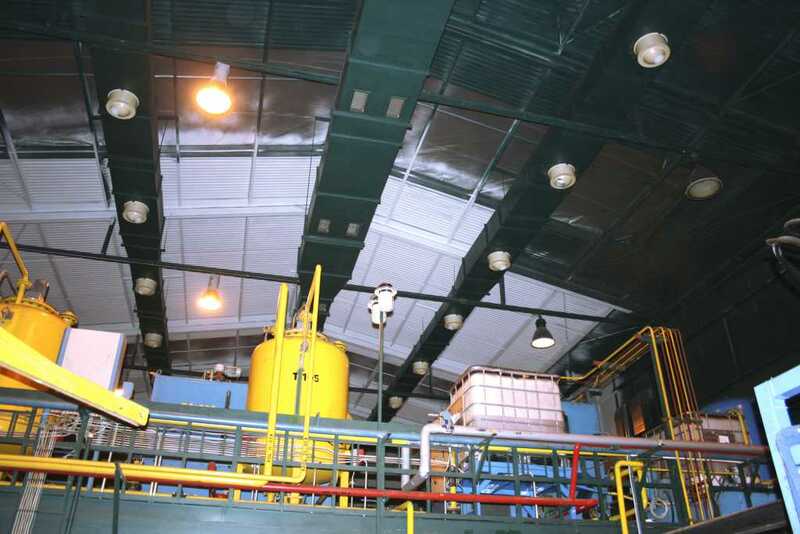 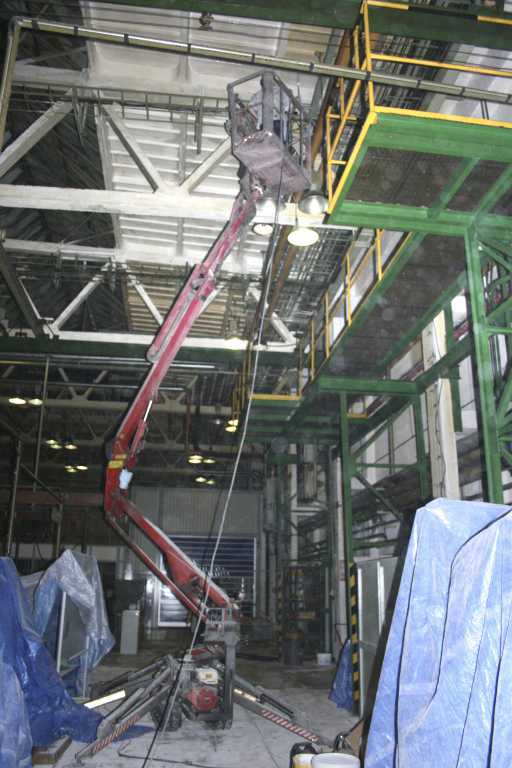 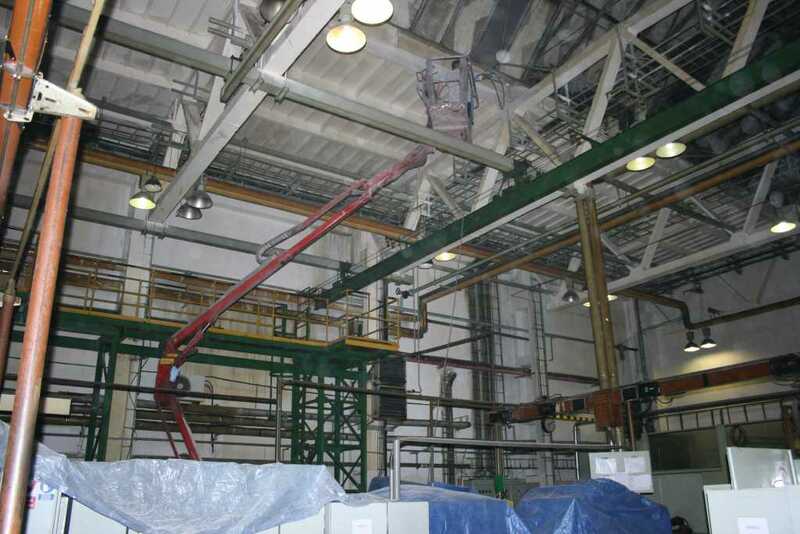 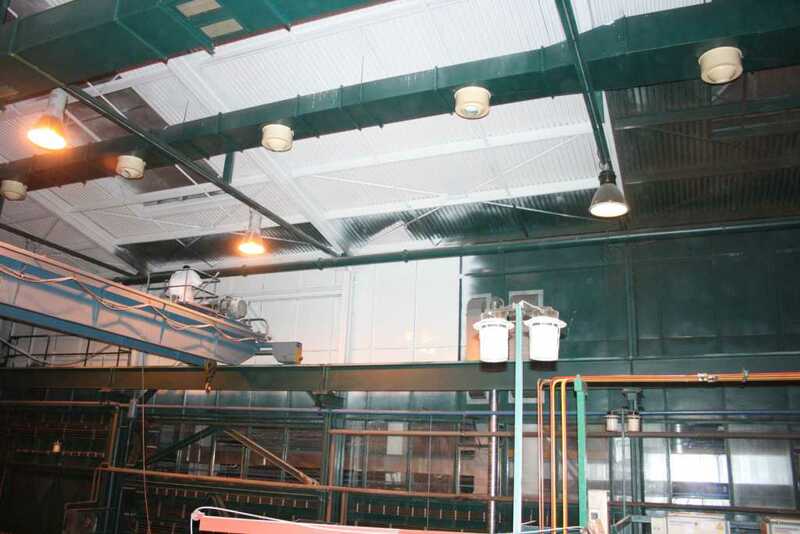 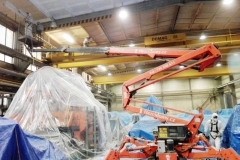 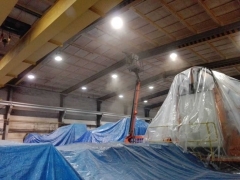 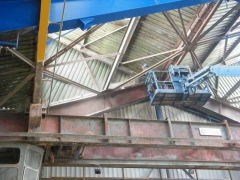 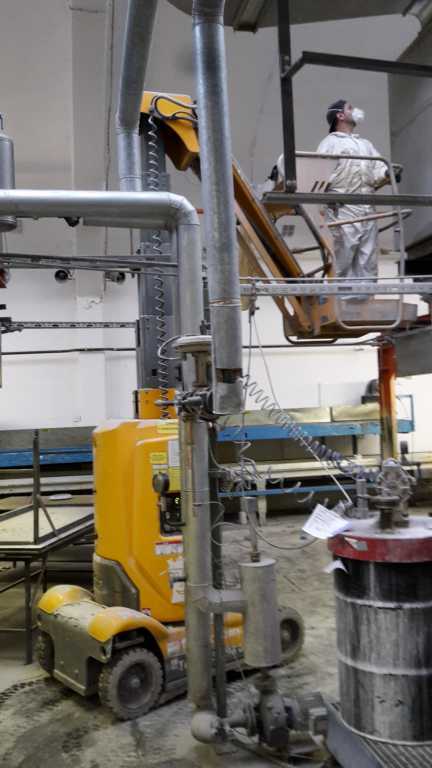 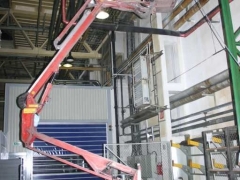 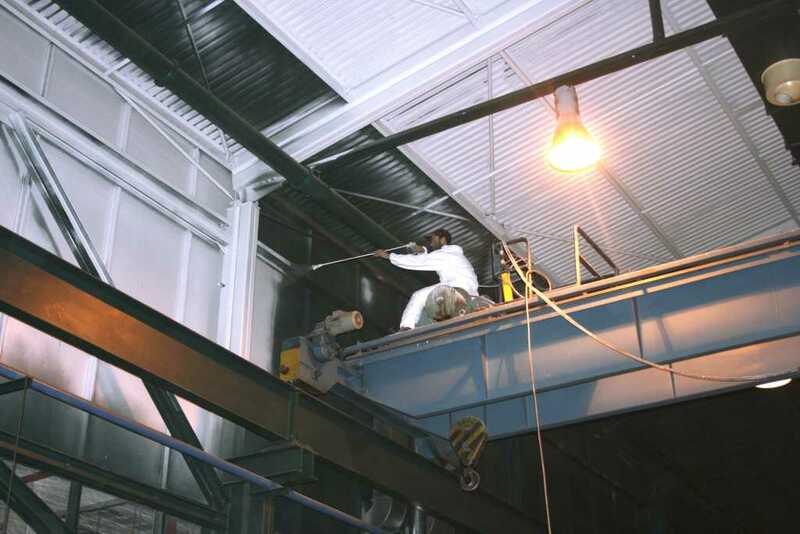 Above robots, acid tanks, iron or glass furnaces, even above NC machinery. 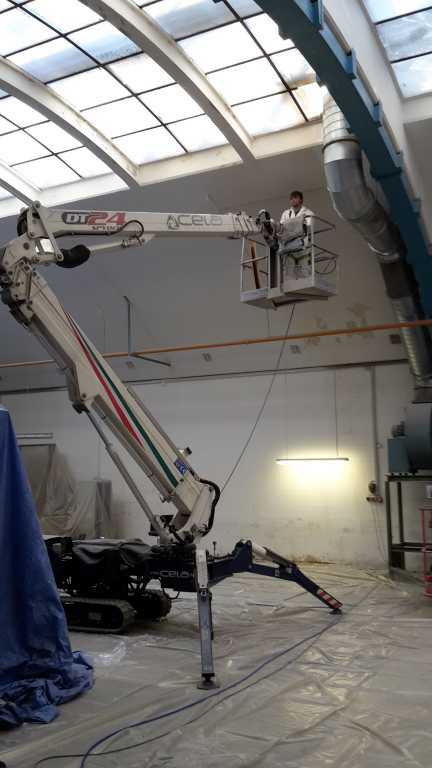 All that thanks to our special machinery and equipment, and most of all to our advanced technological procedures and materials. 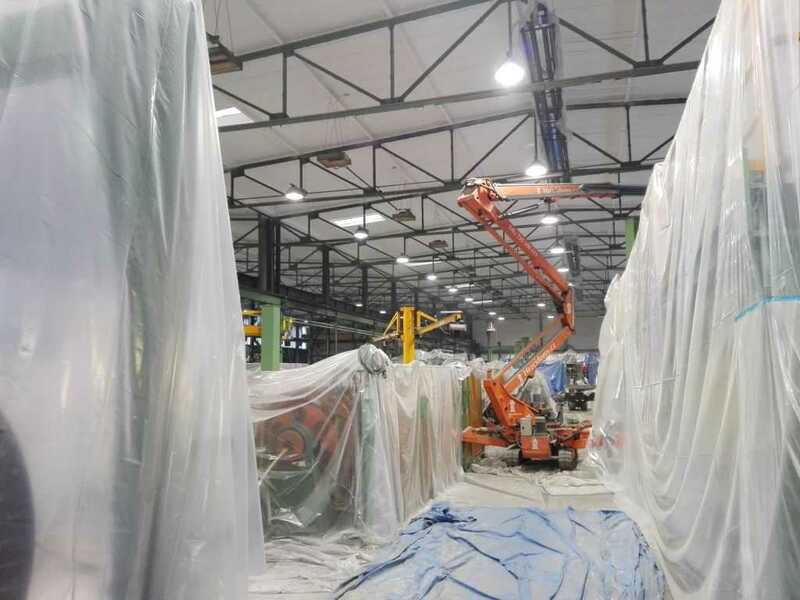 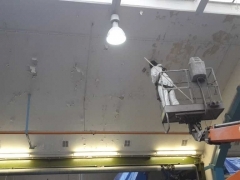 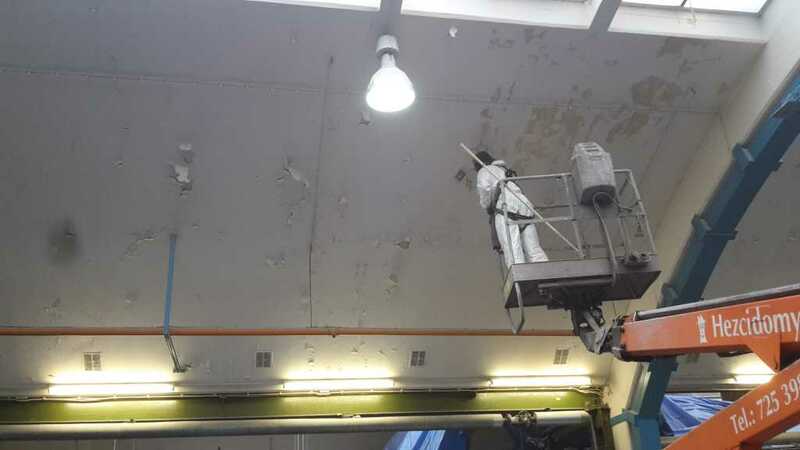 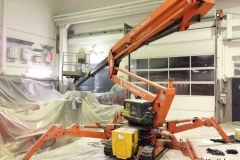 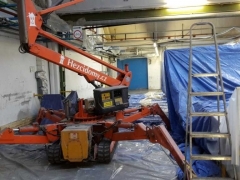 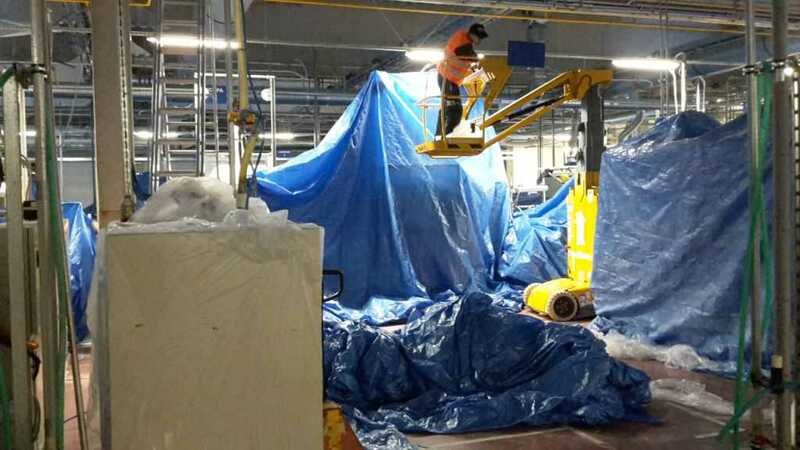 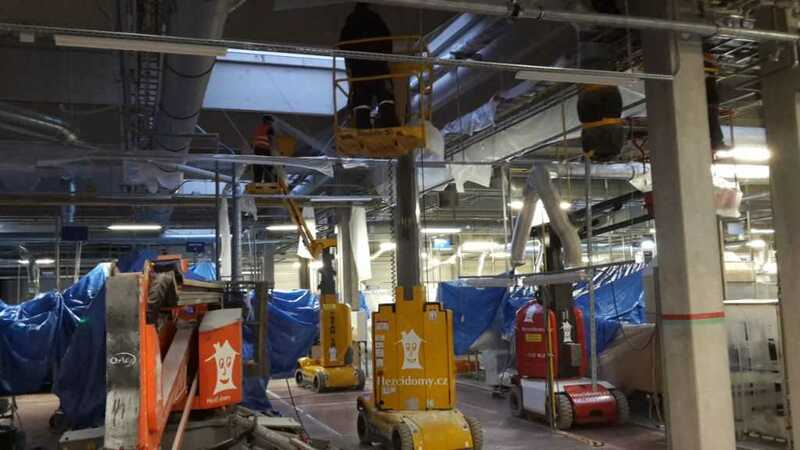 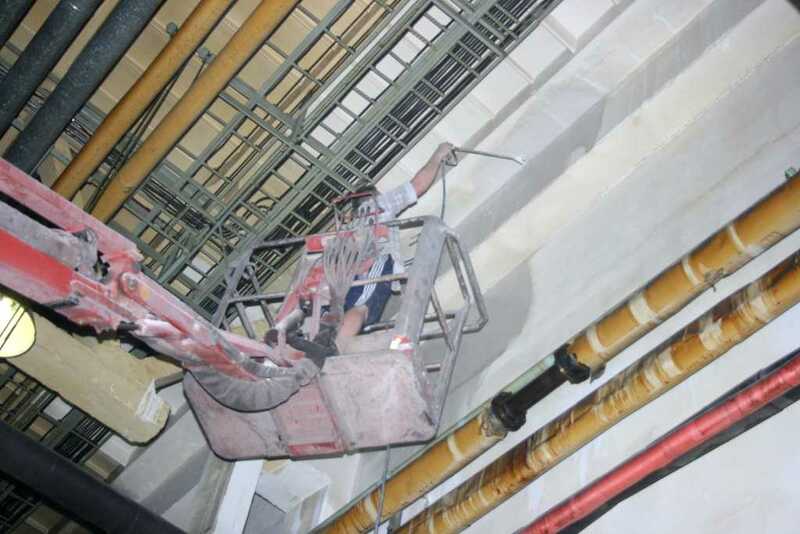 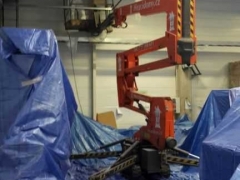 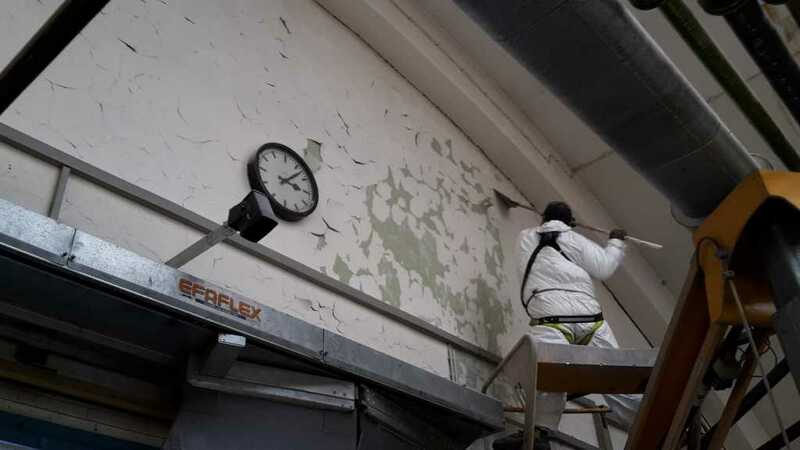 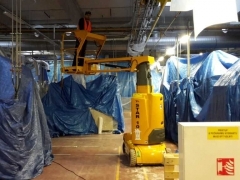 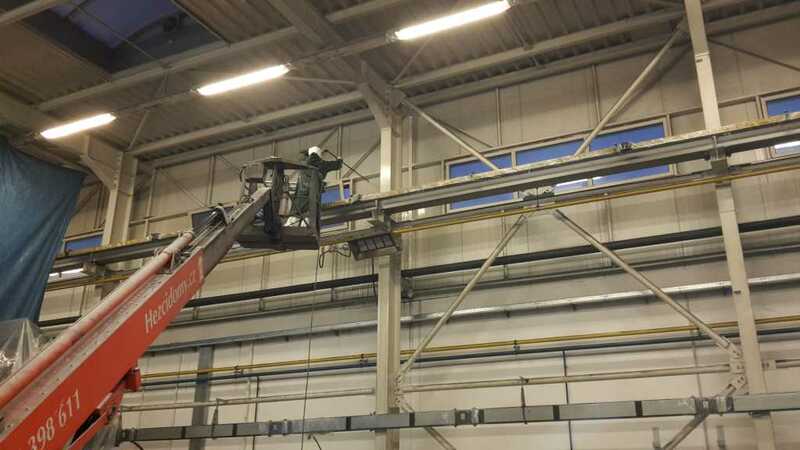 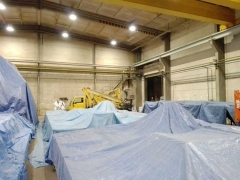 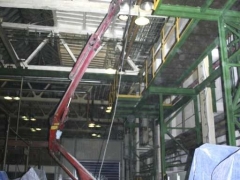 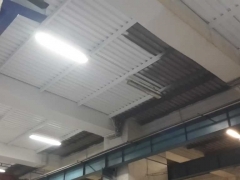 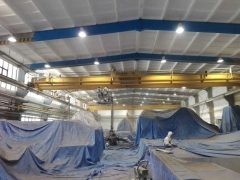 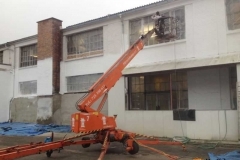 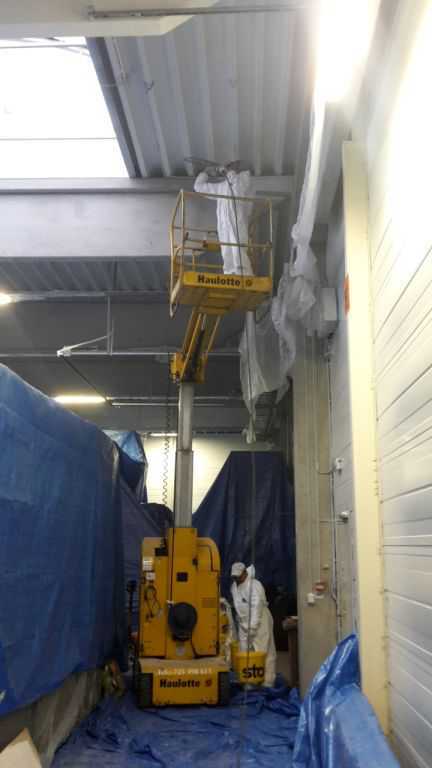 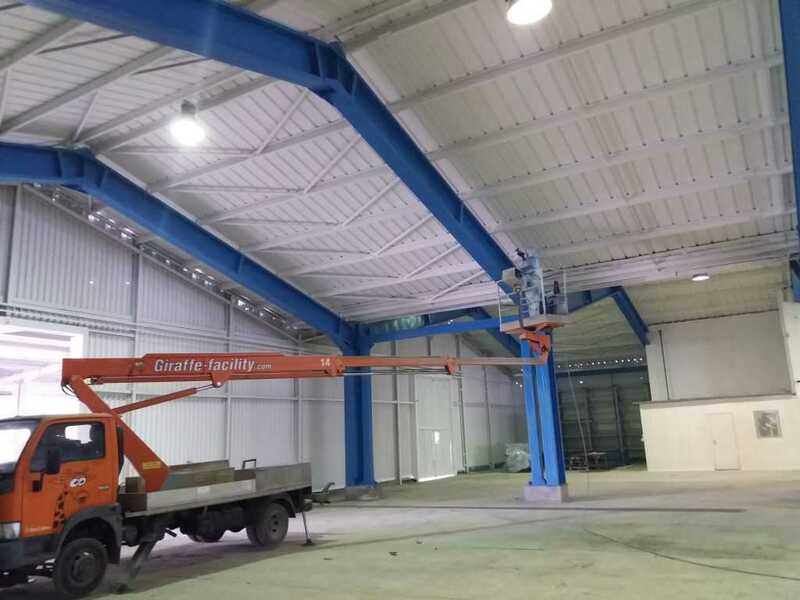 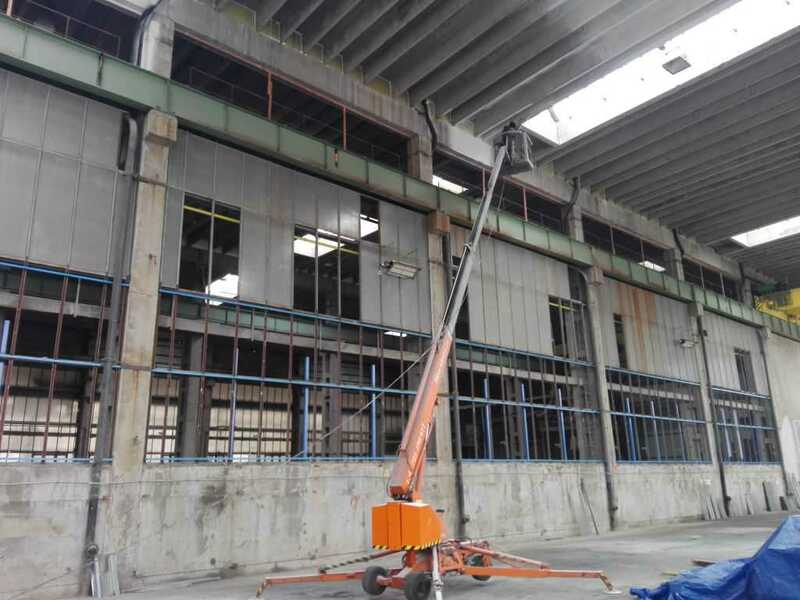 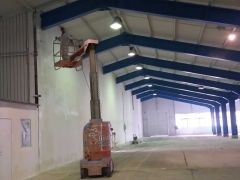 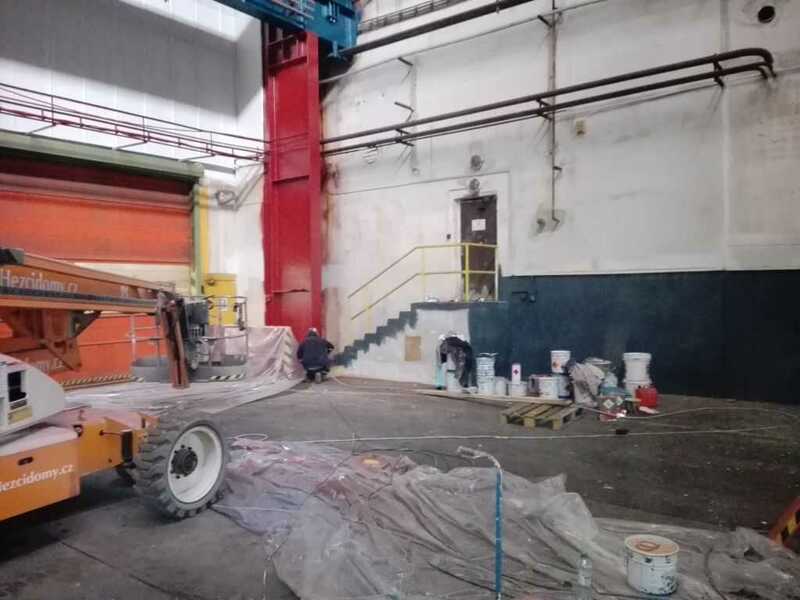 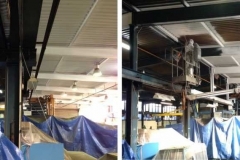 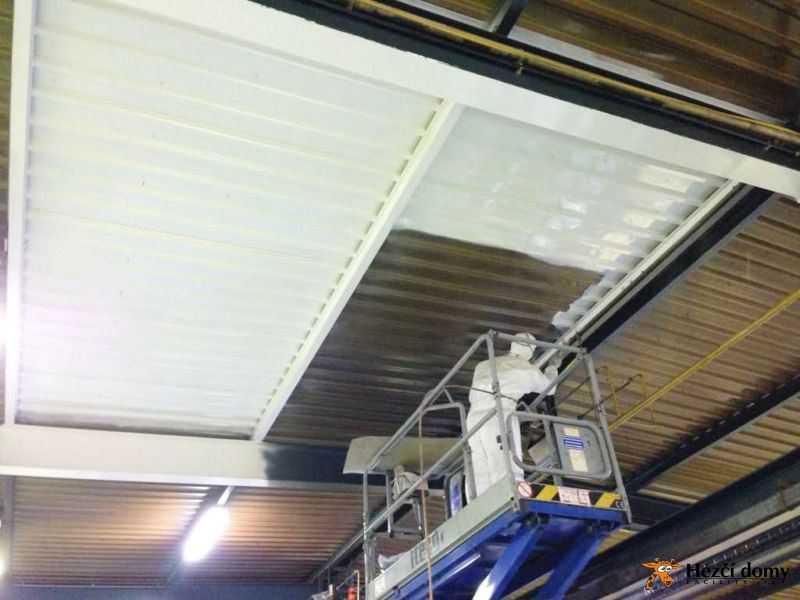 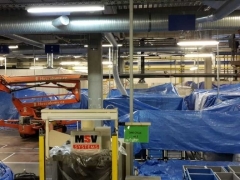 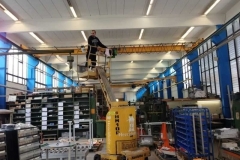 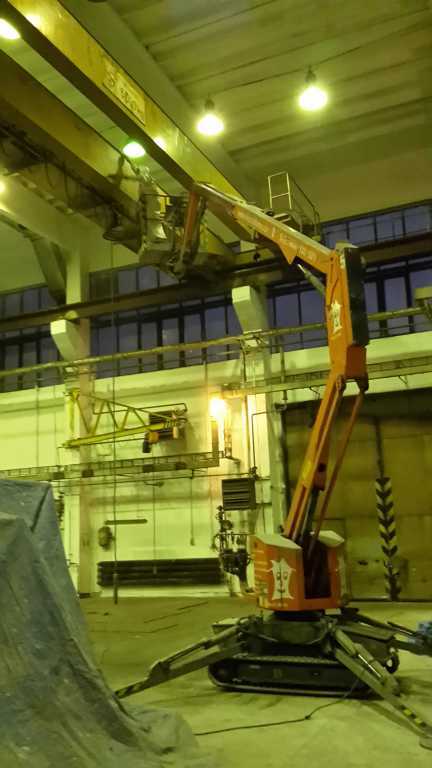 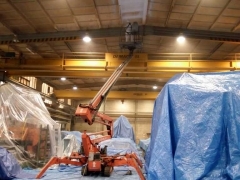 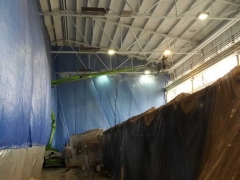 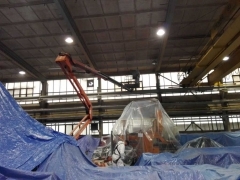 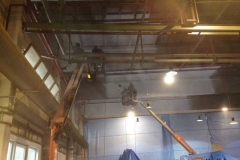 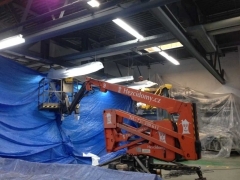 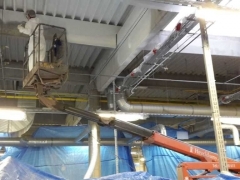 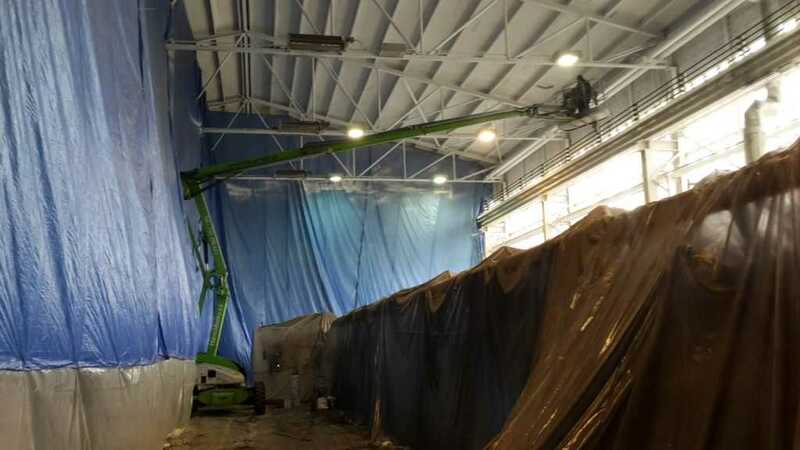 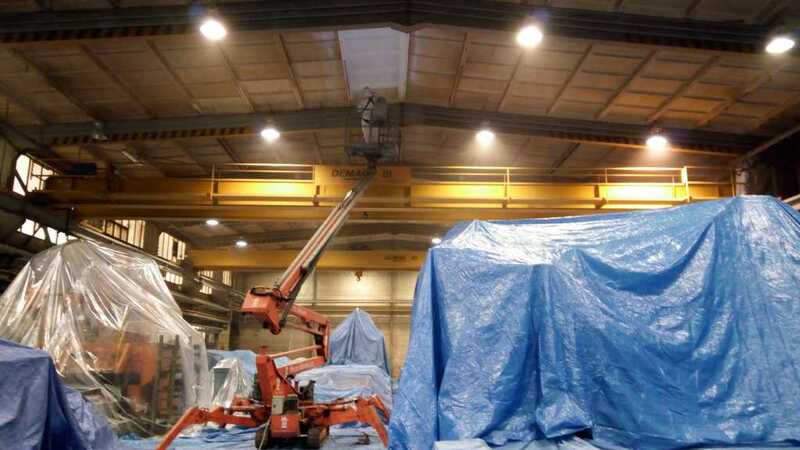 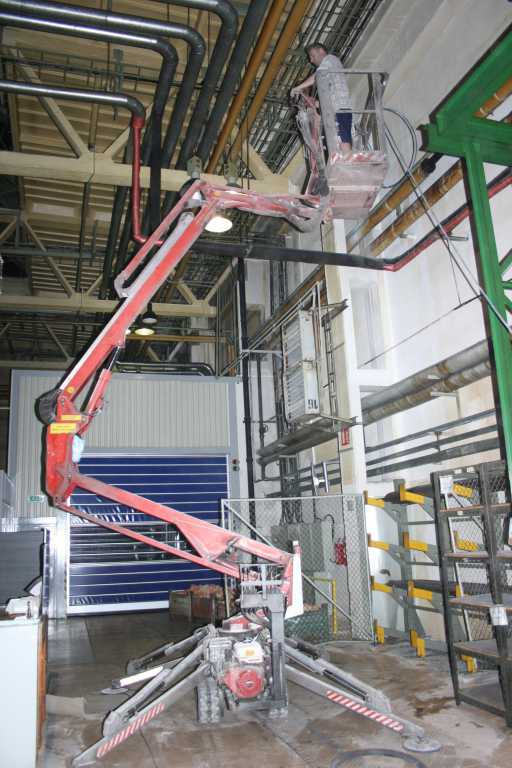 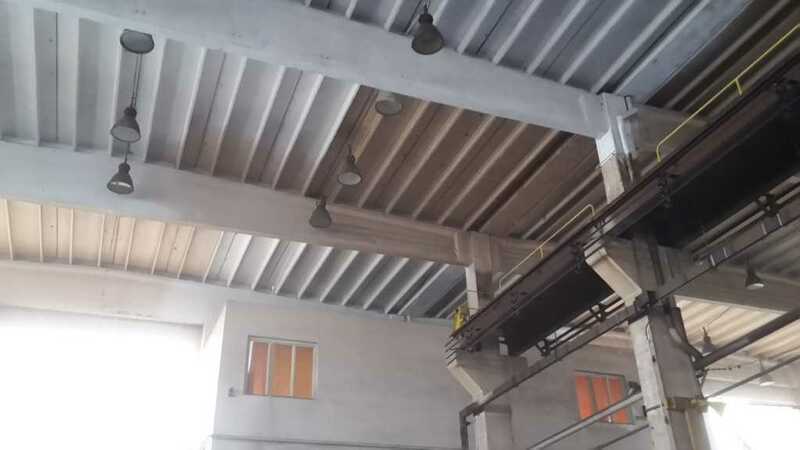 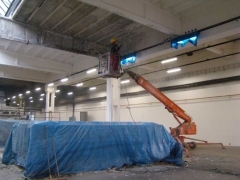 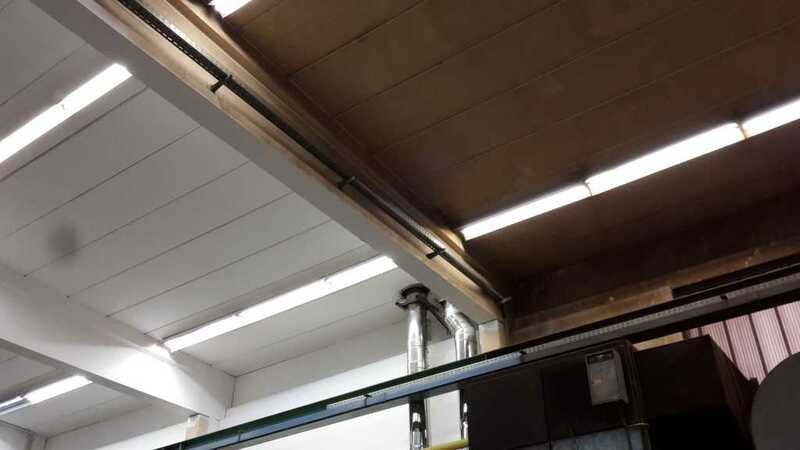 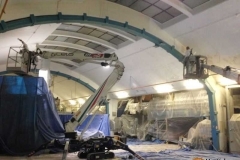 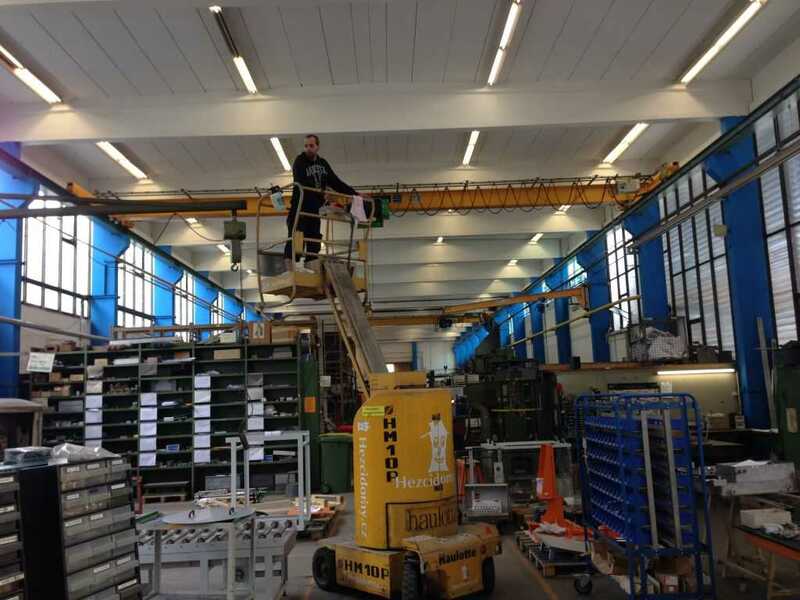 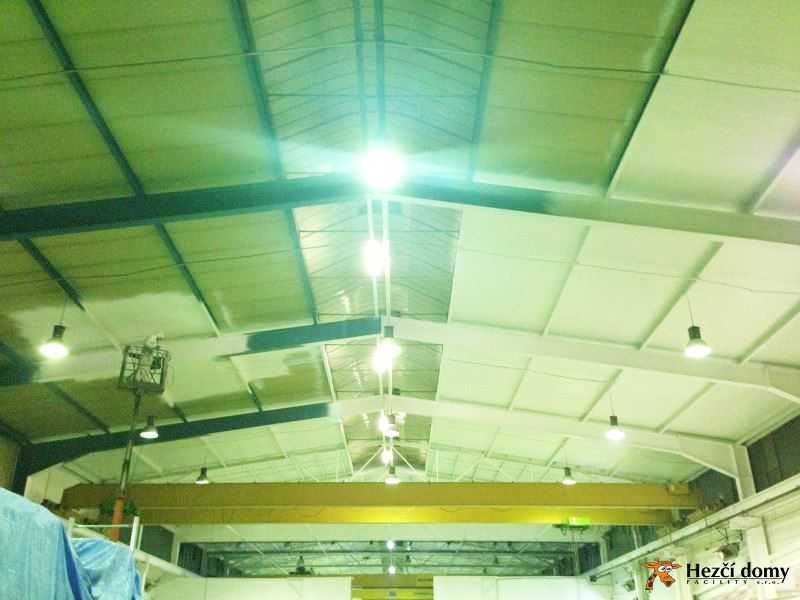 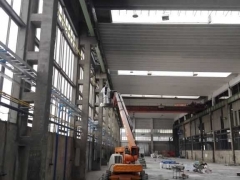 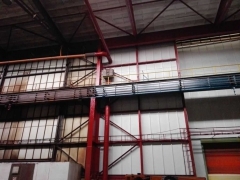 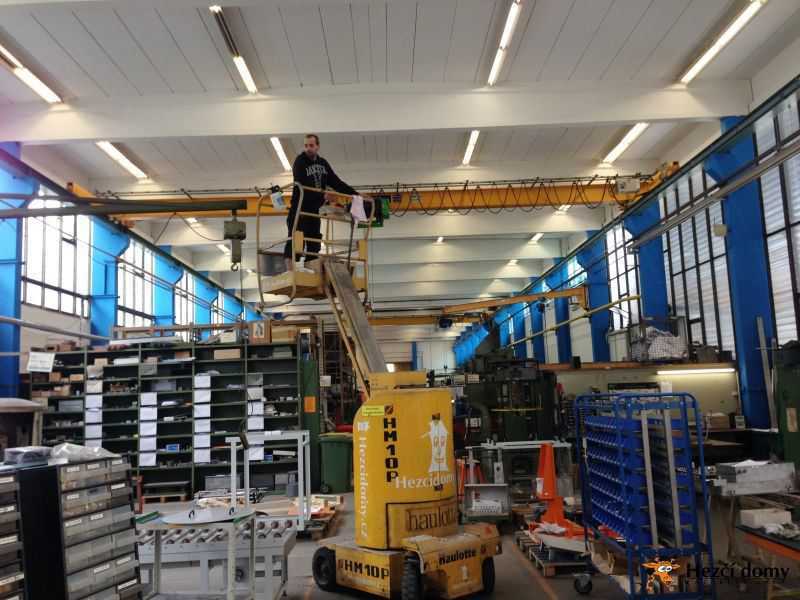 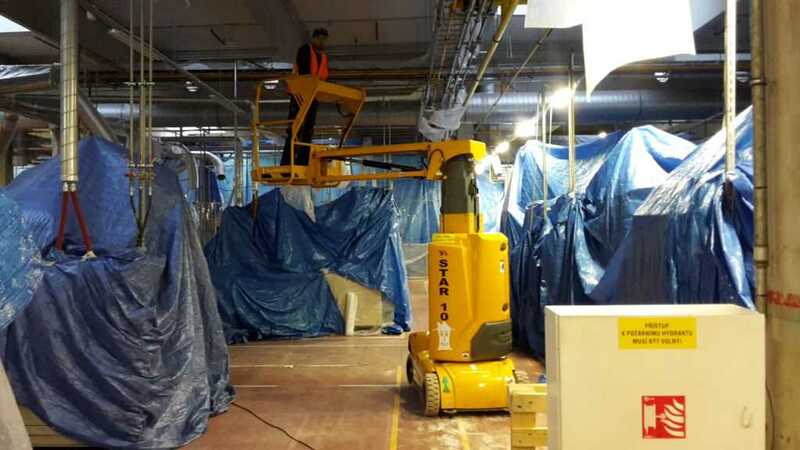 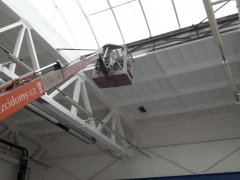 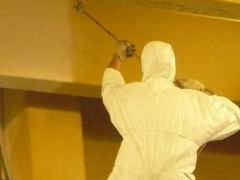 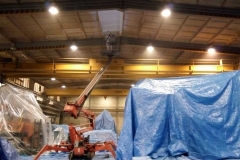 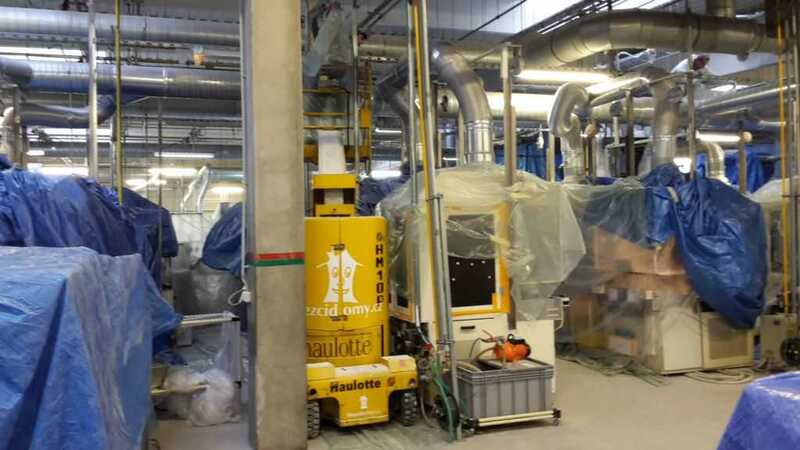 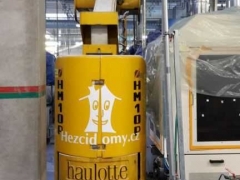 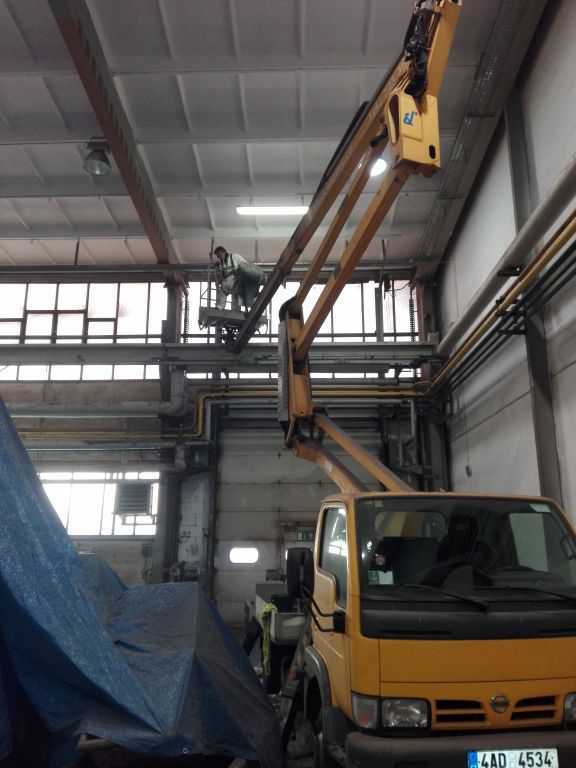 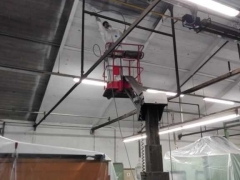 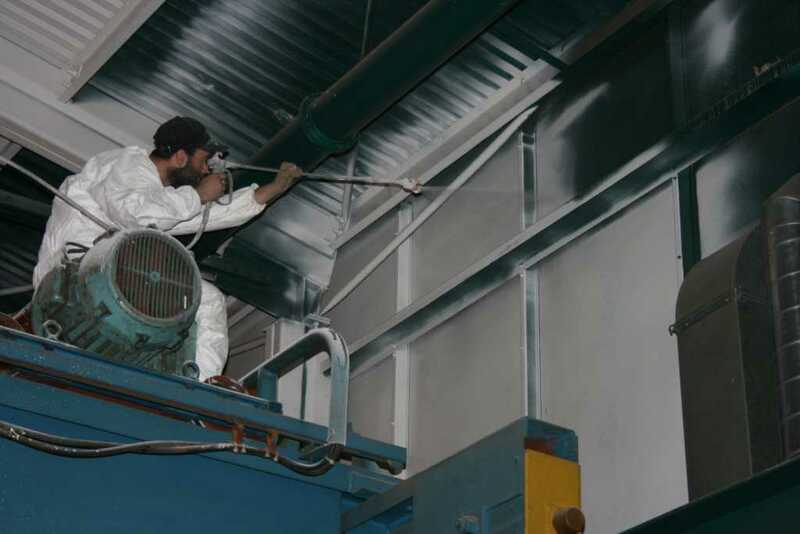 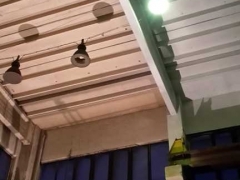 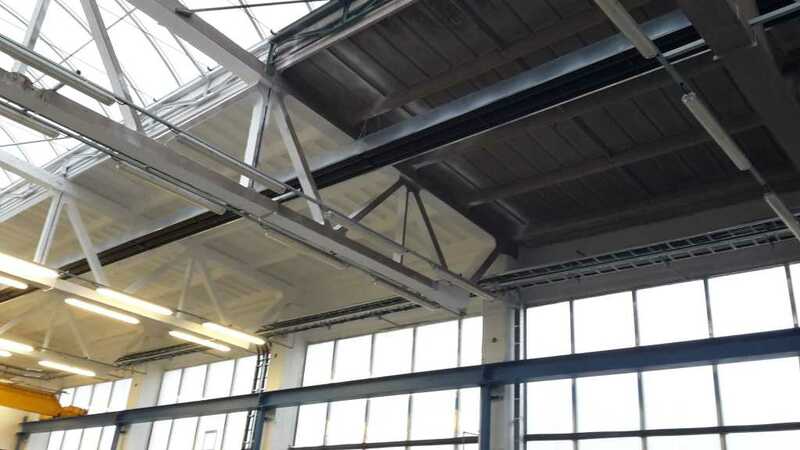 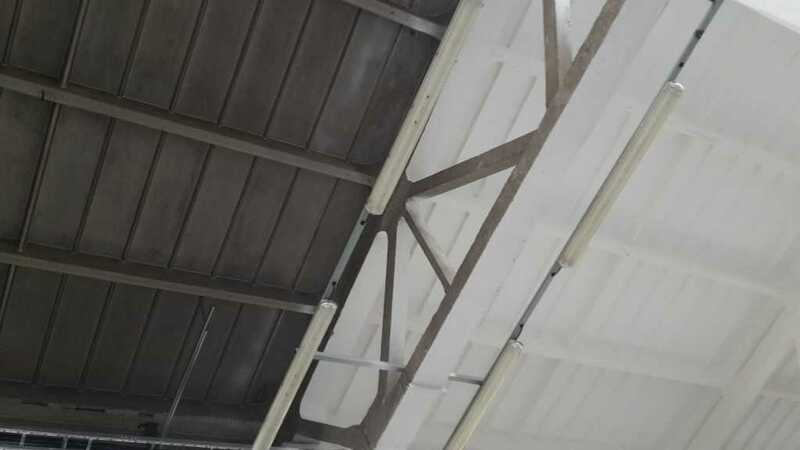 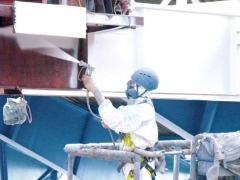 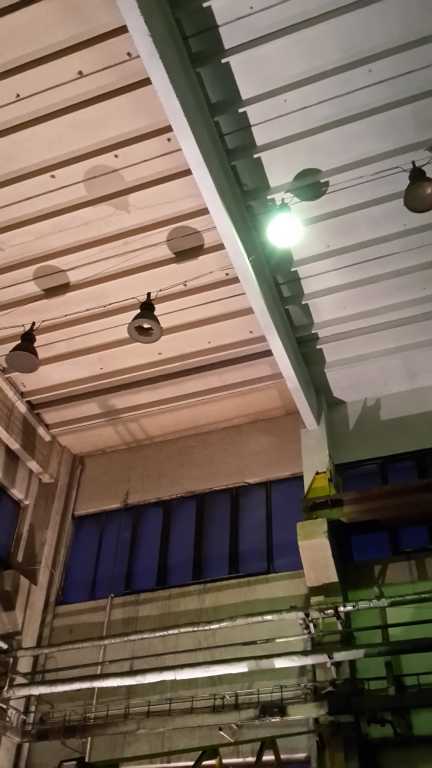 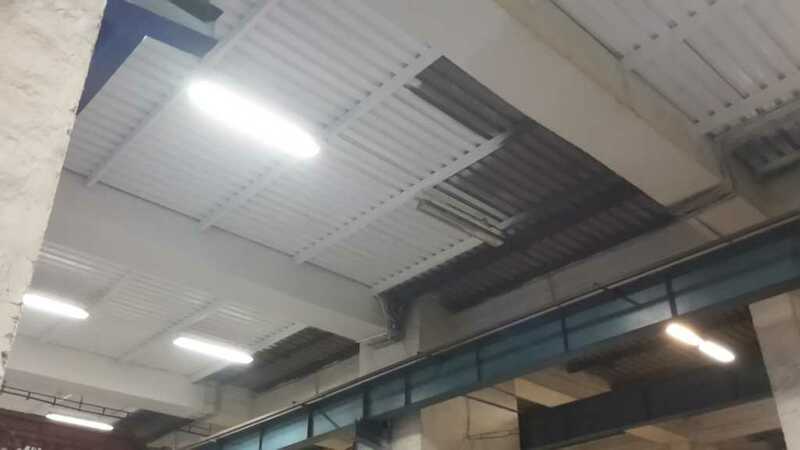 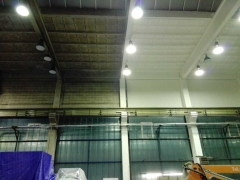 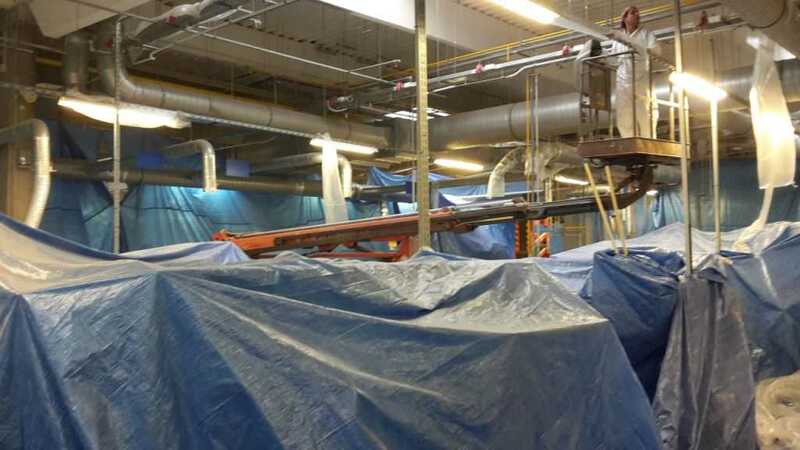 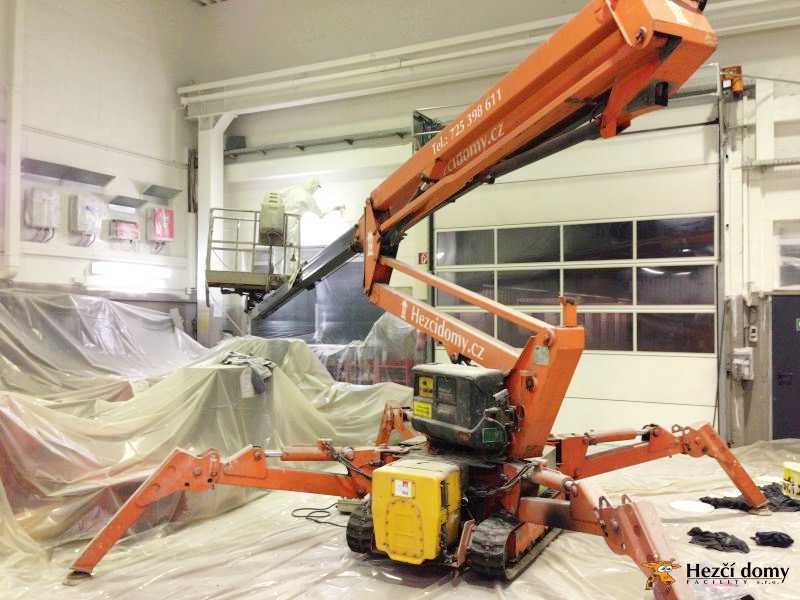 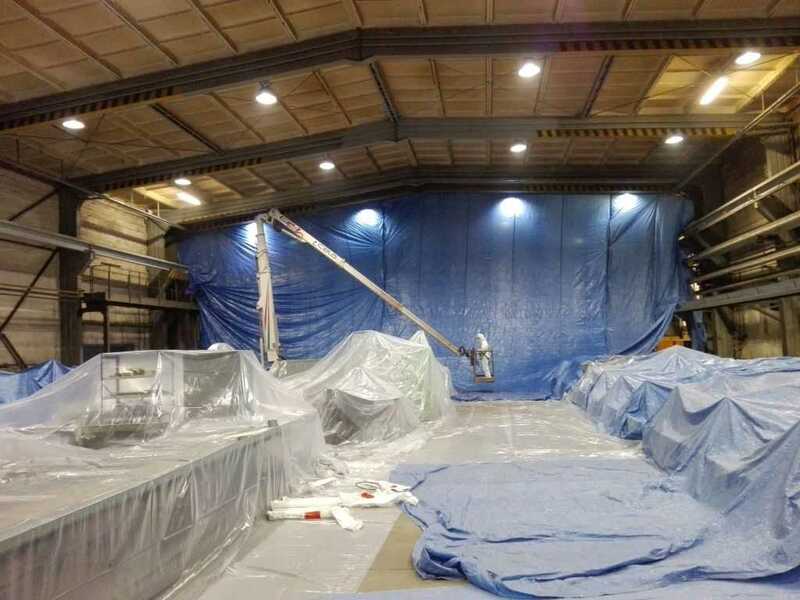 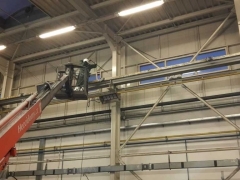 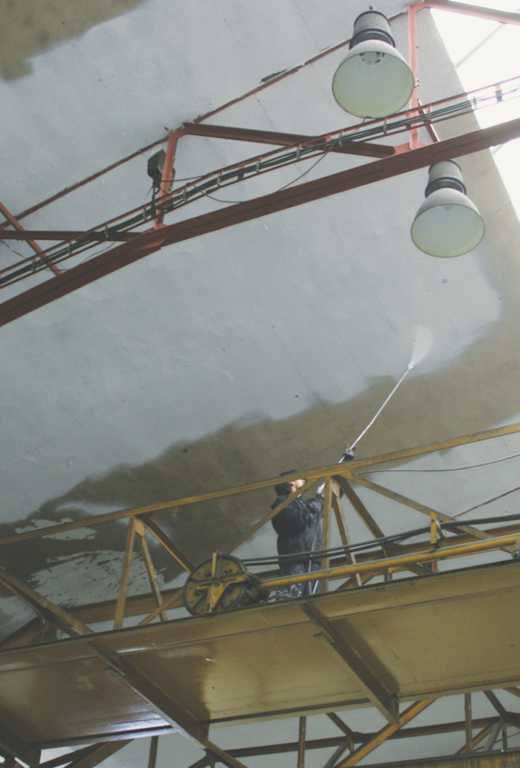 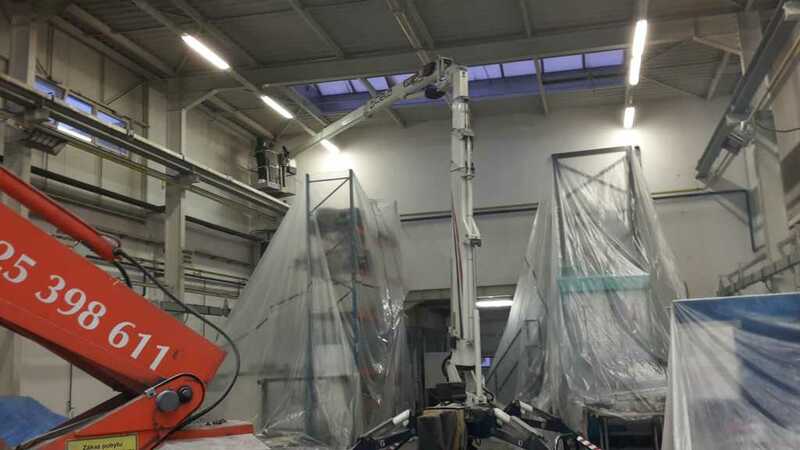 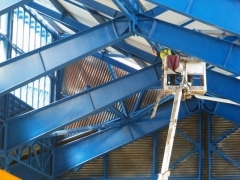 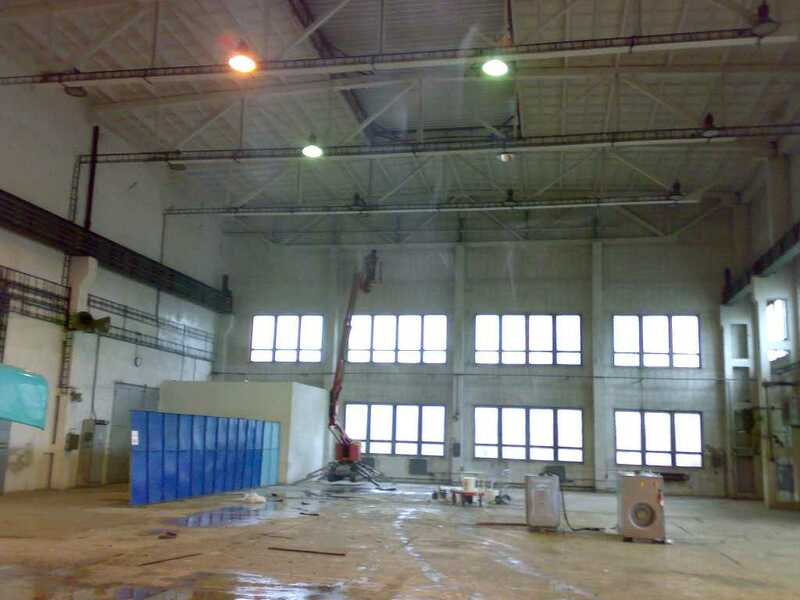 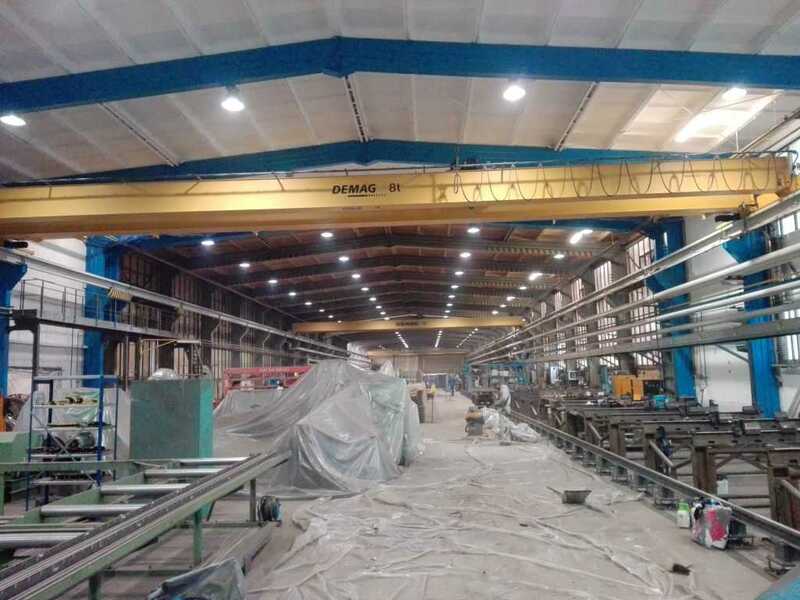 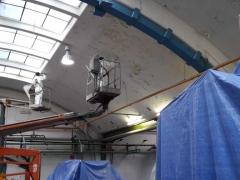 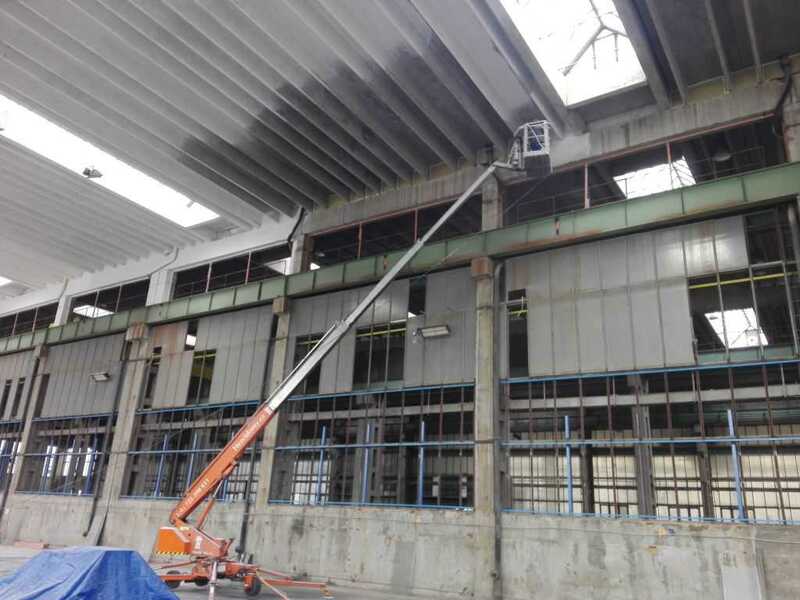 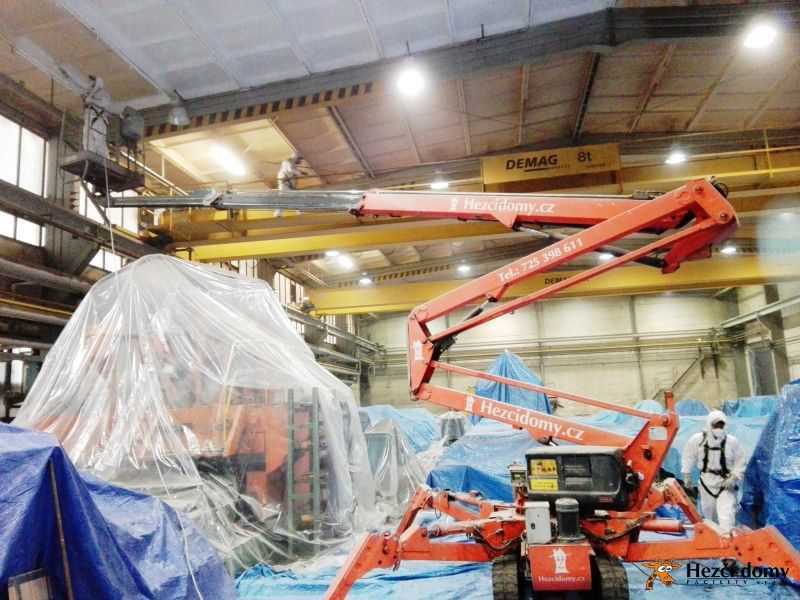 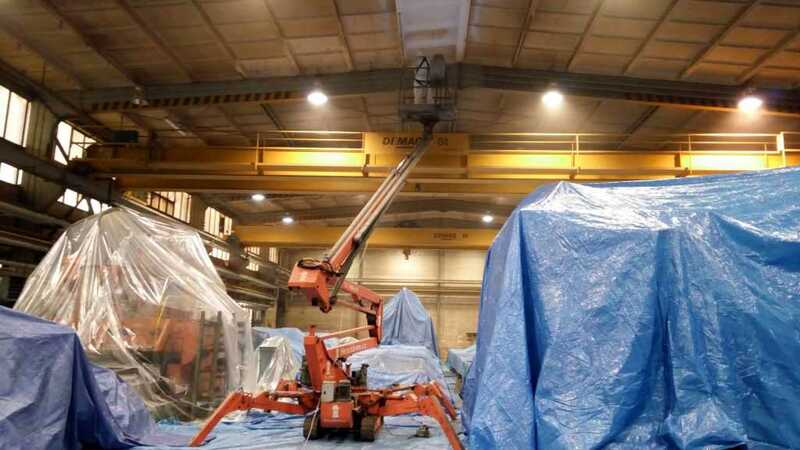 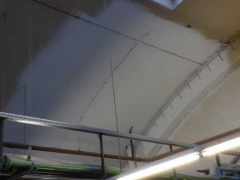 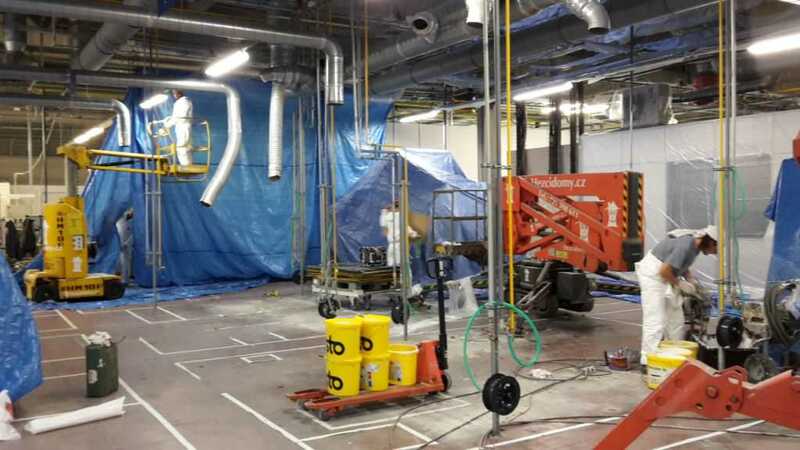 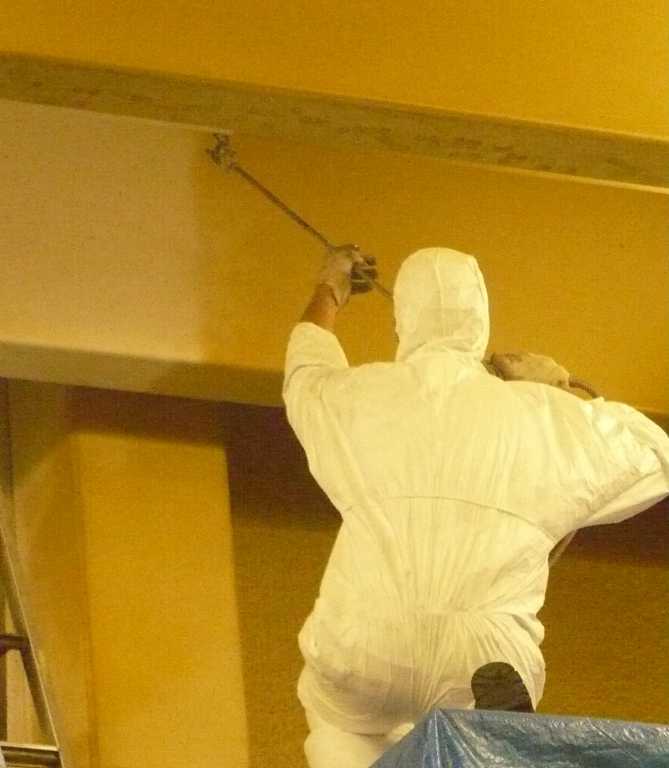 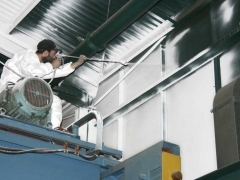 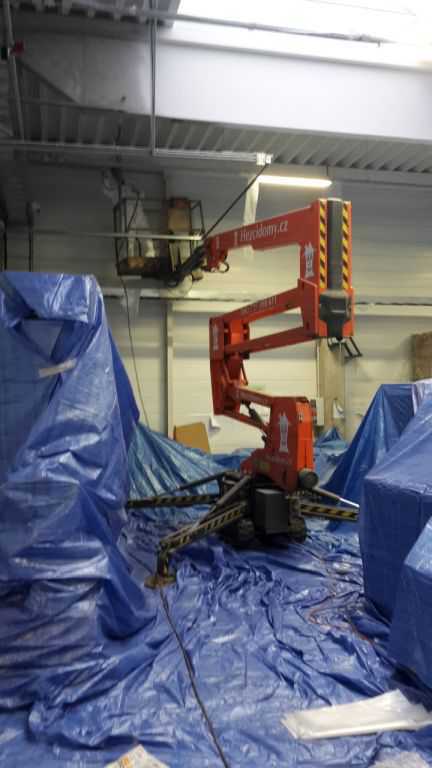 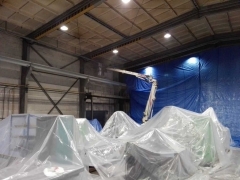 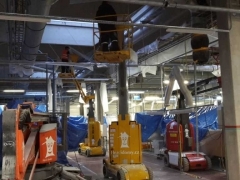 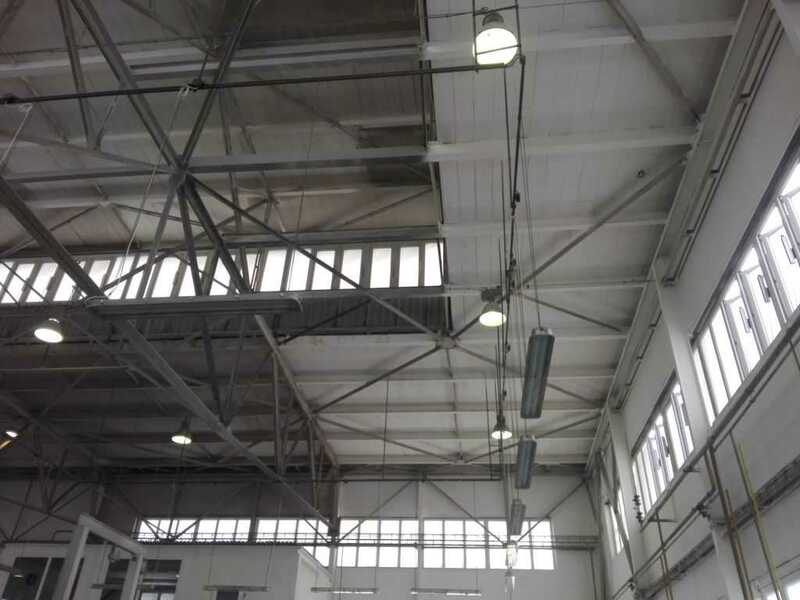 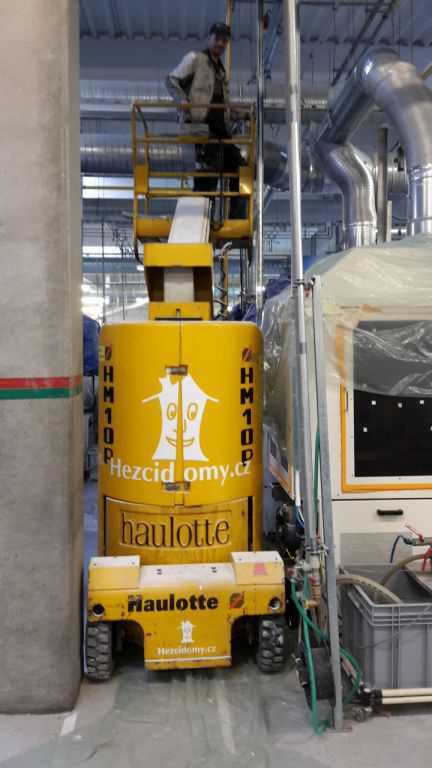 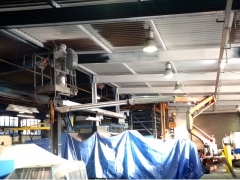 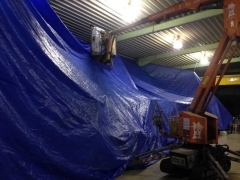 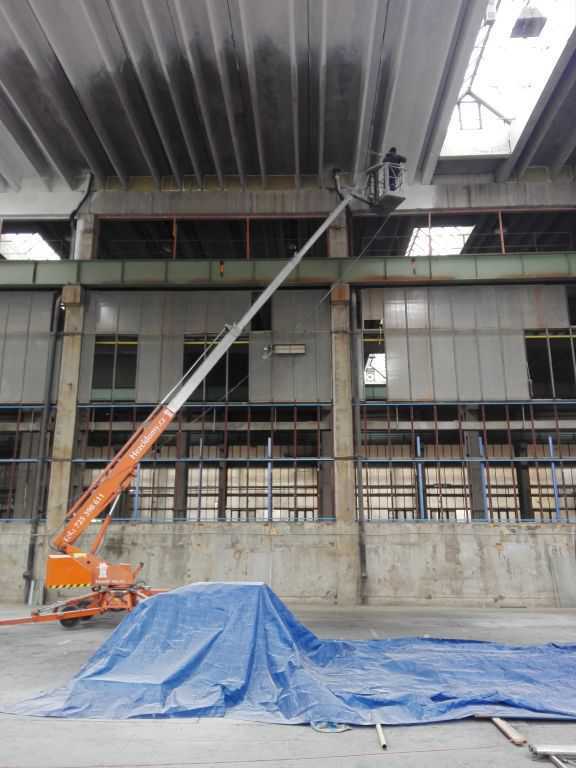 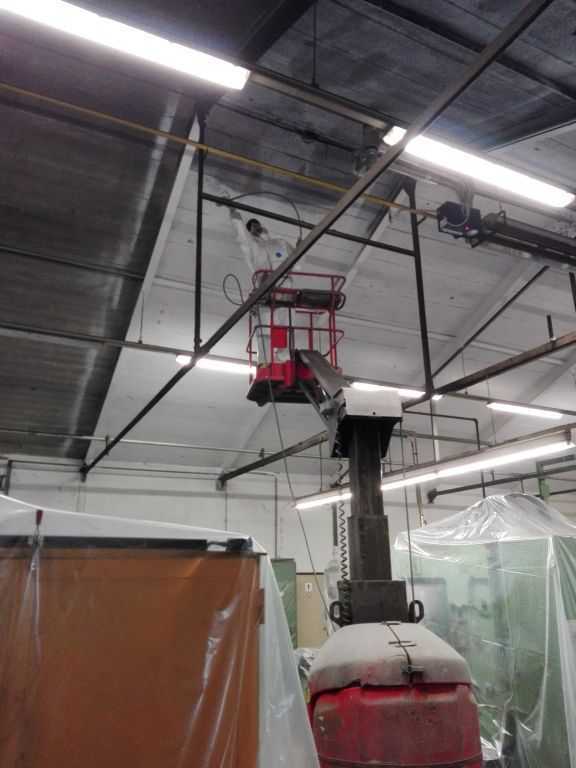 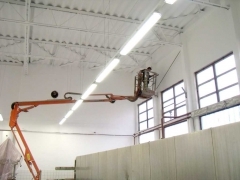 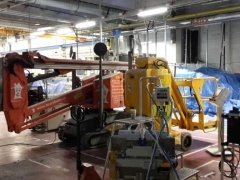 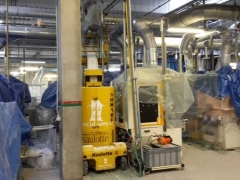 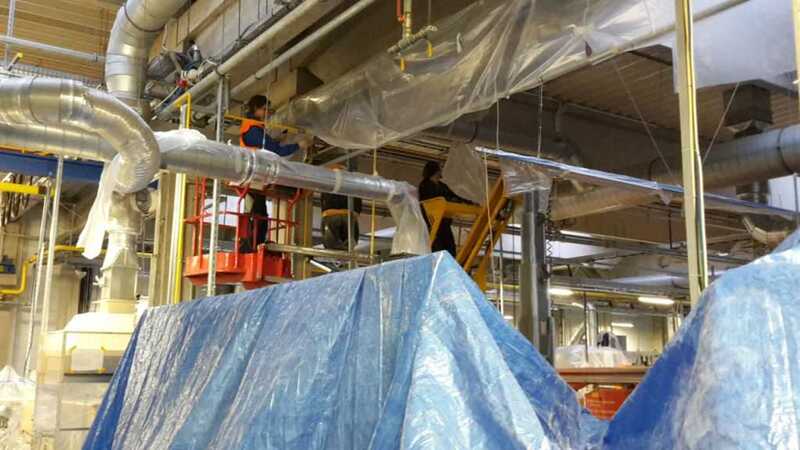 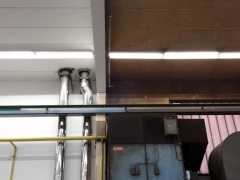 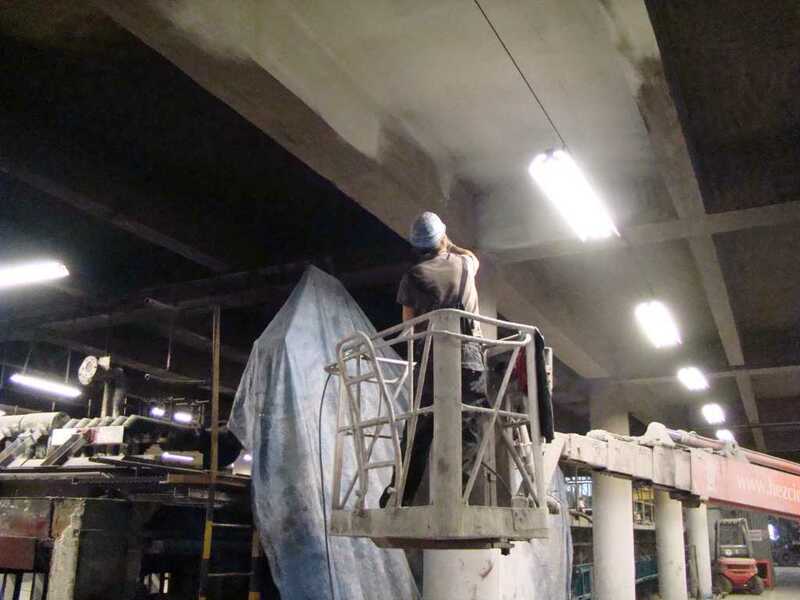 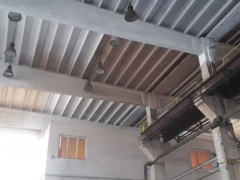 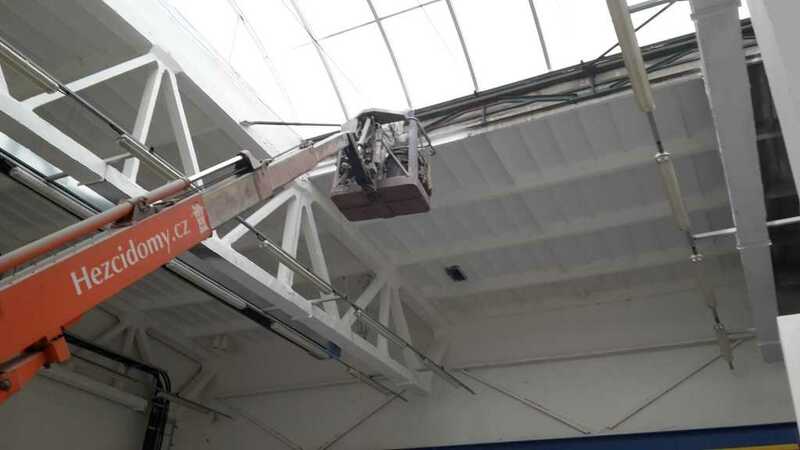 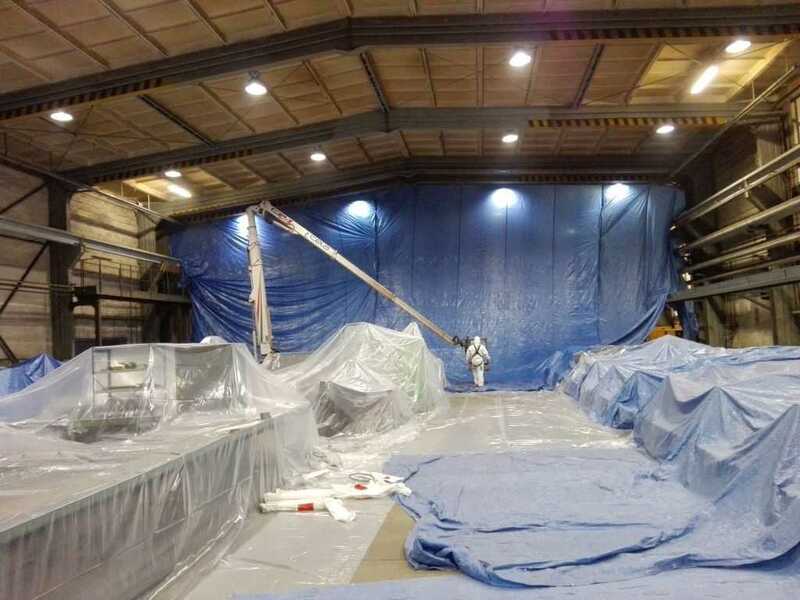 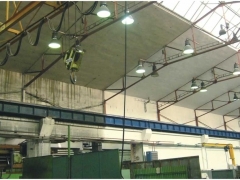 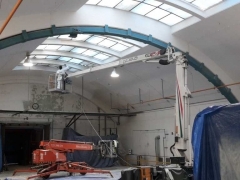 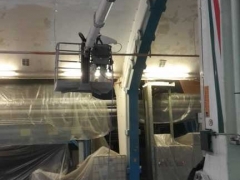 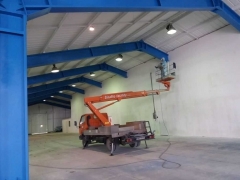 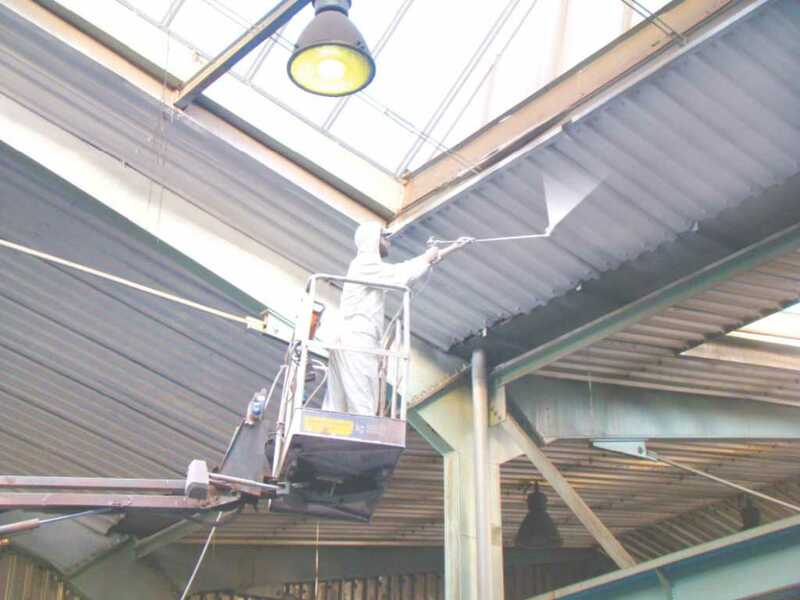 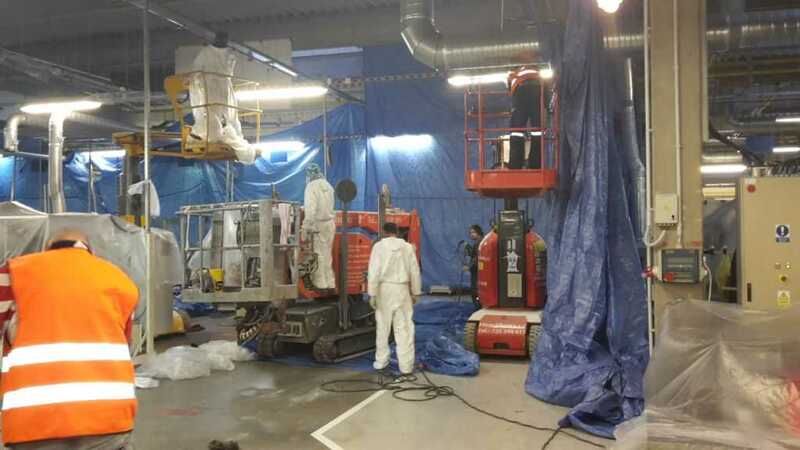 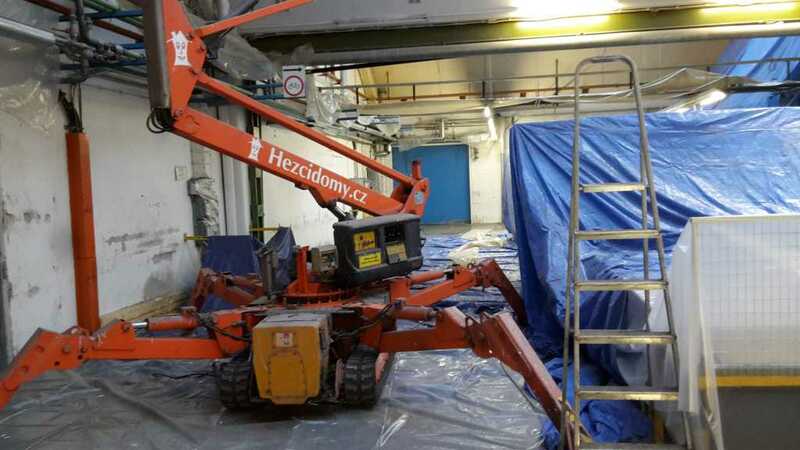 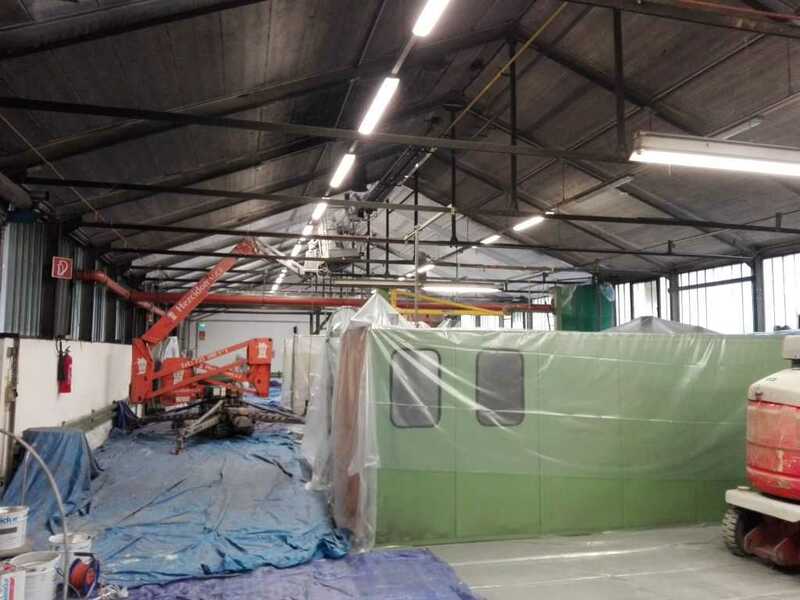 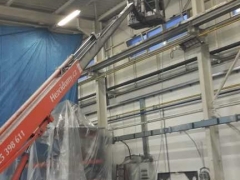 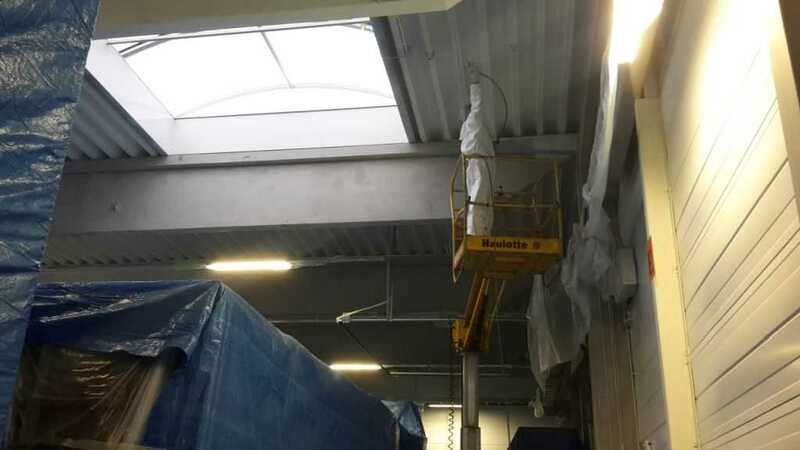 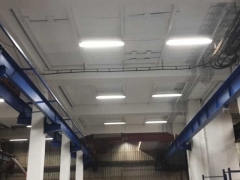 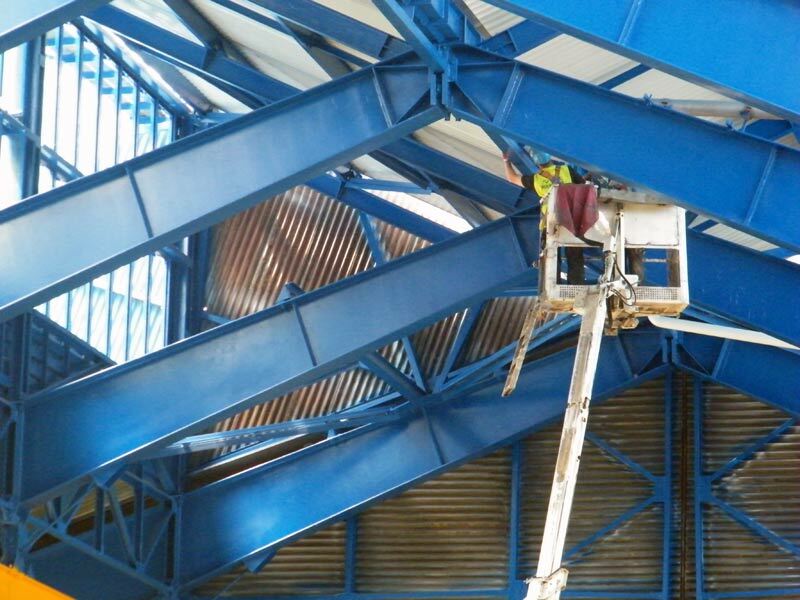 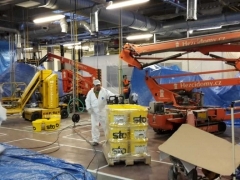 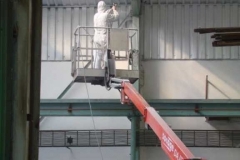 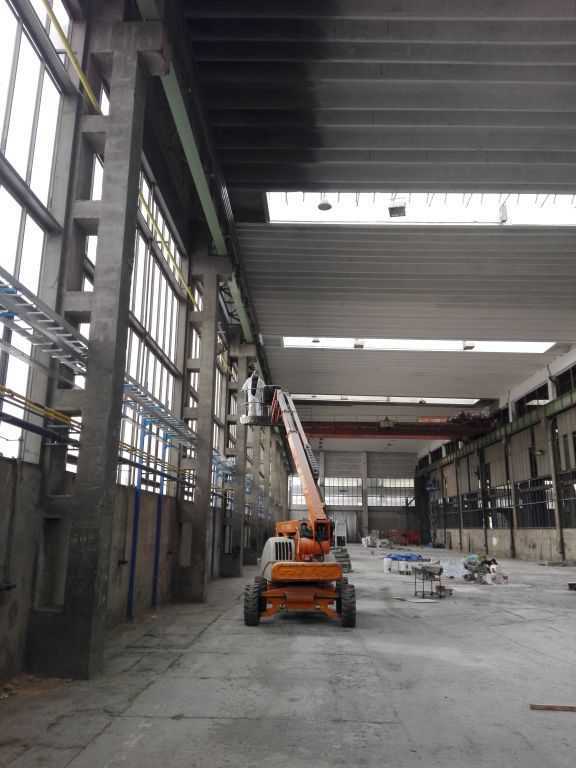 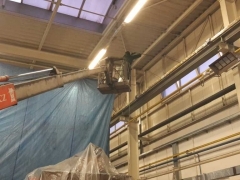 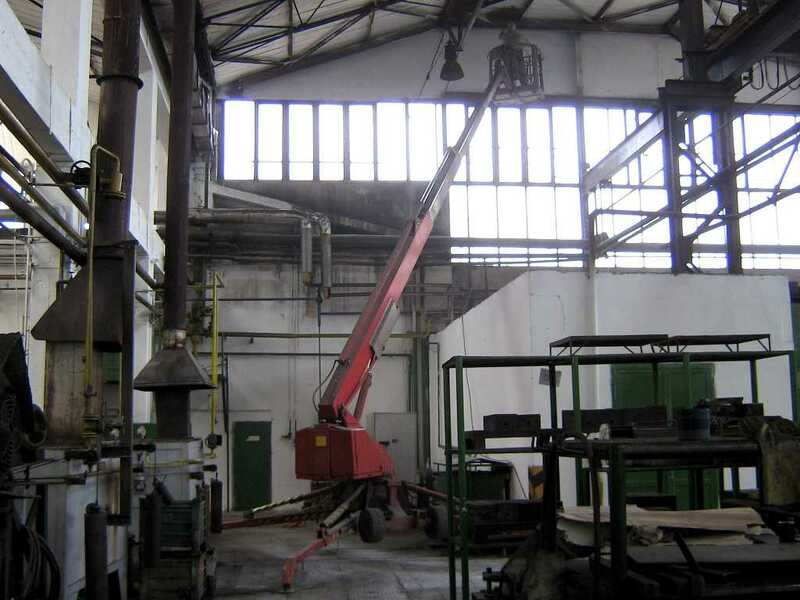 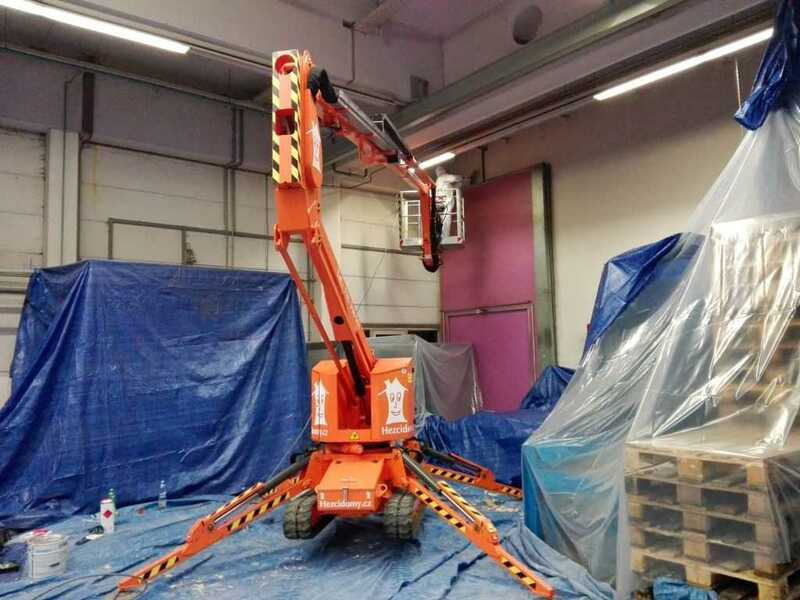 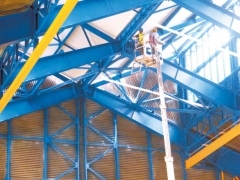 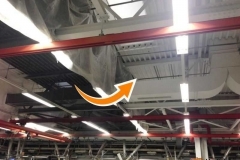 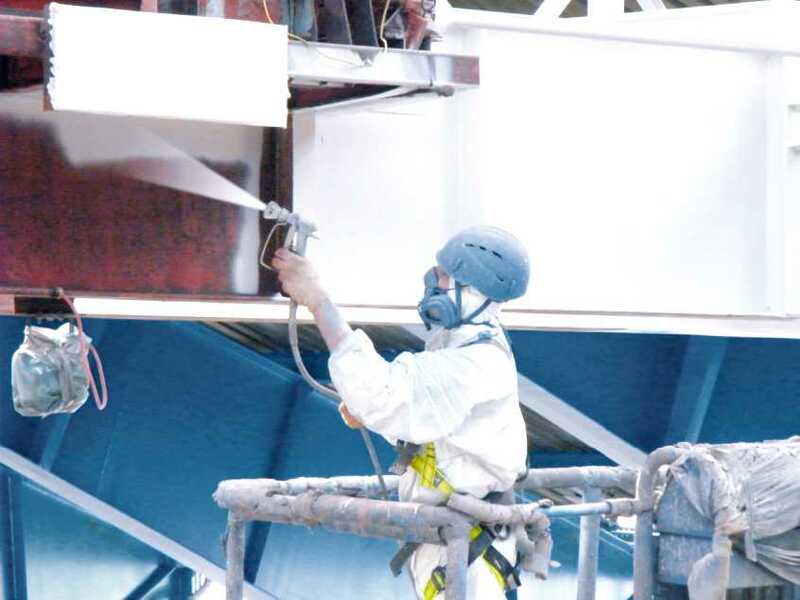 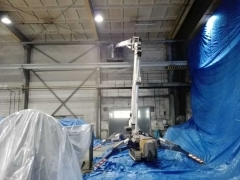 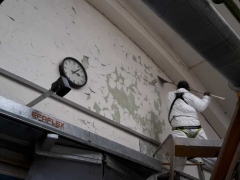 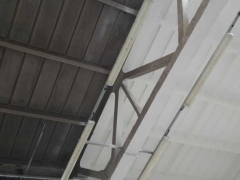 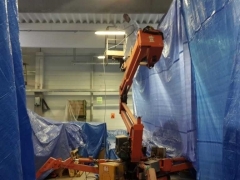 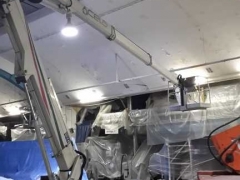 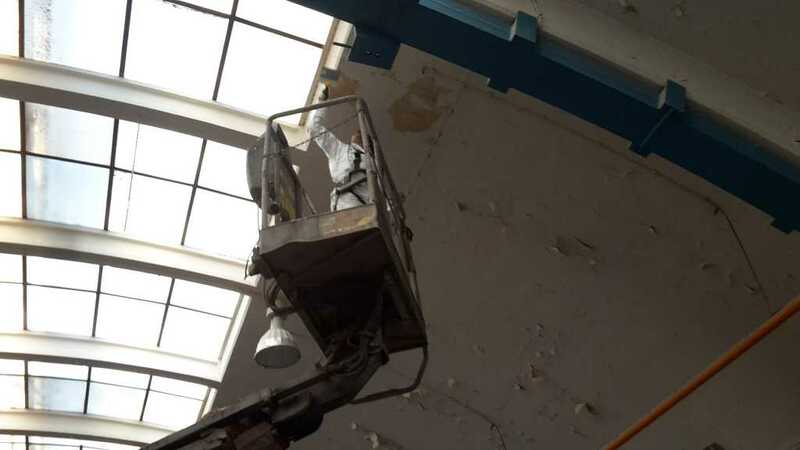 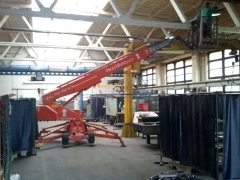 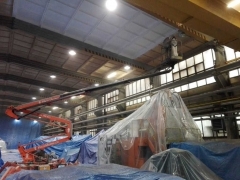 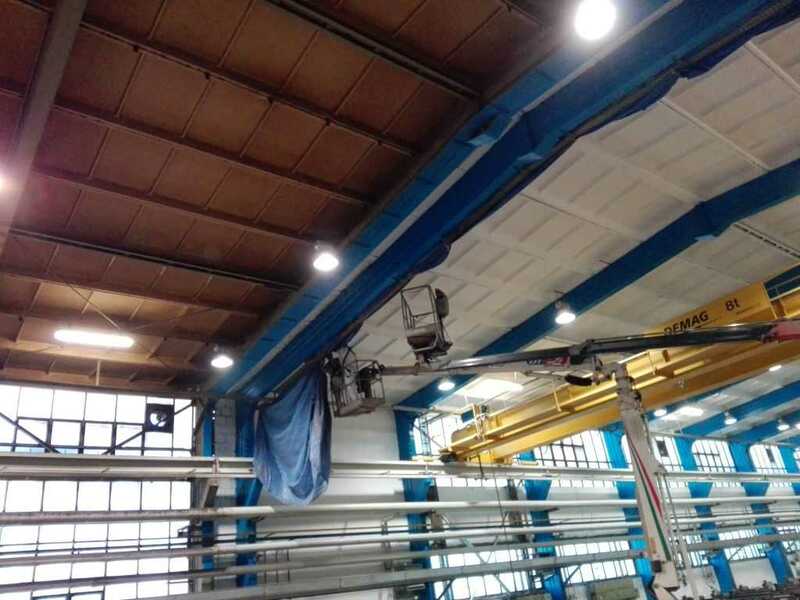 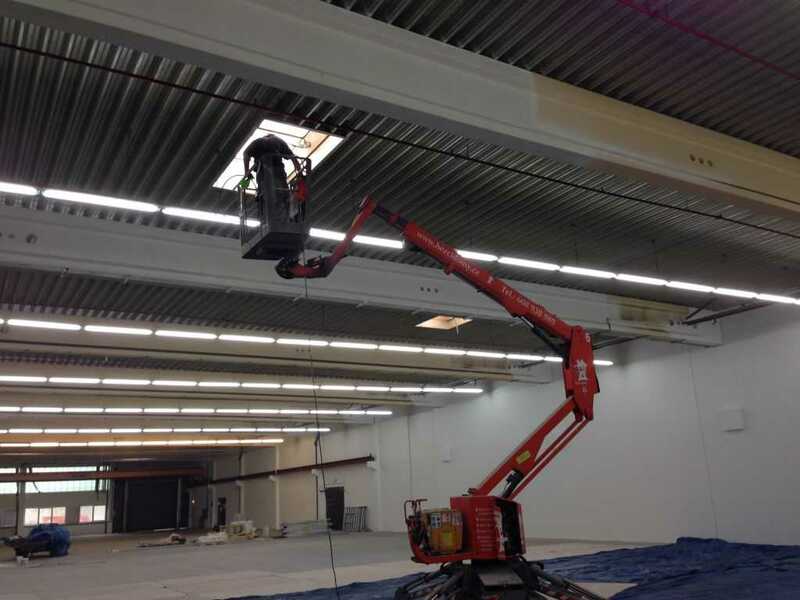 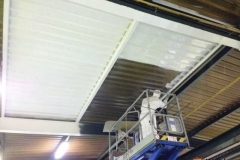 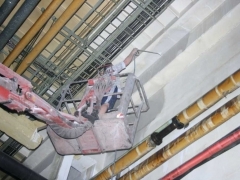 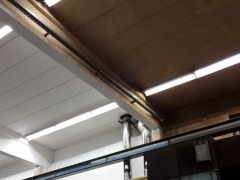 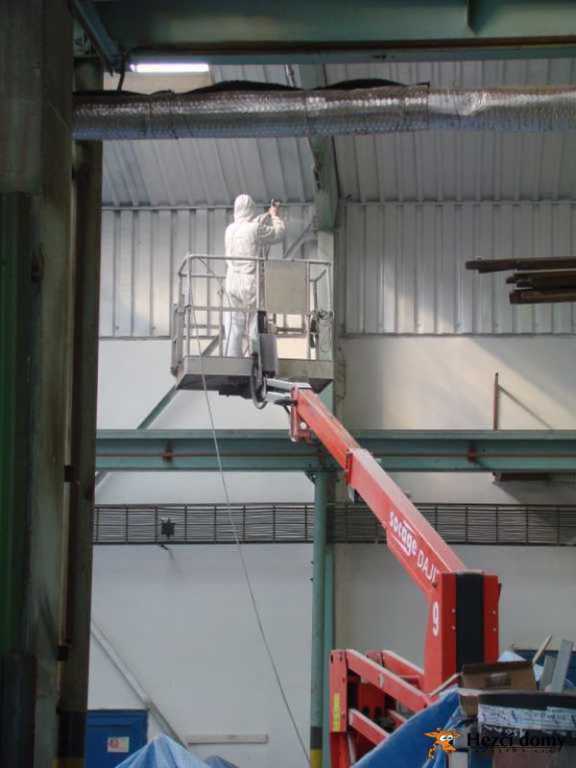 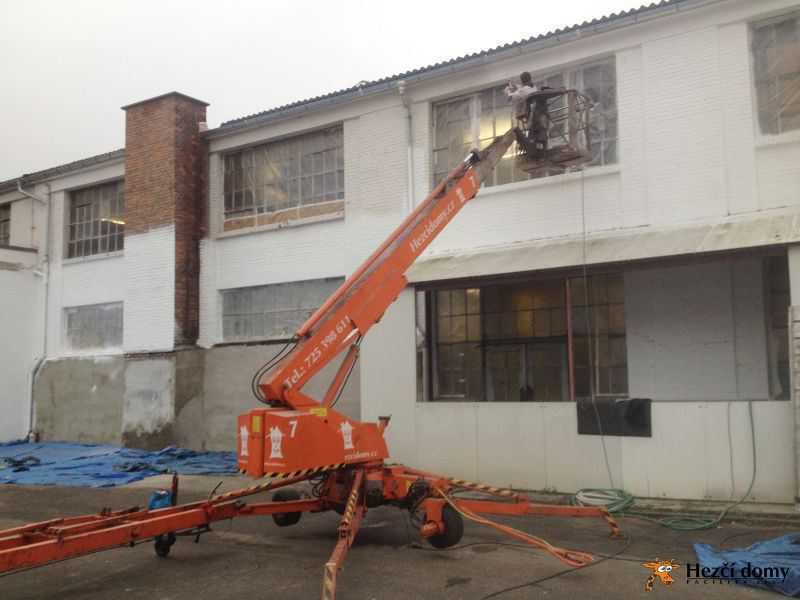 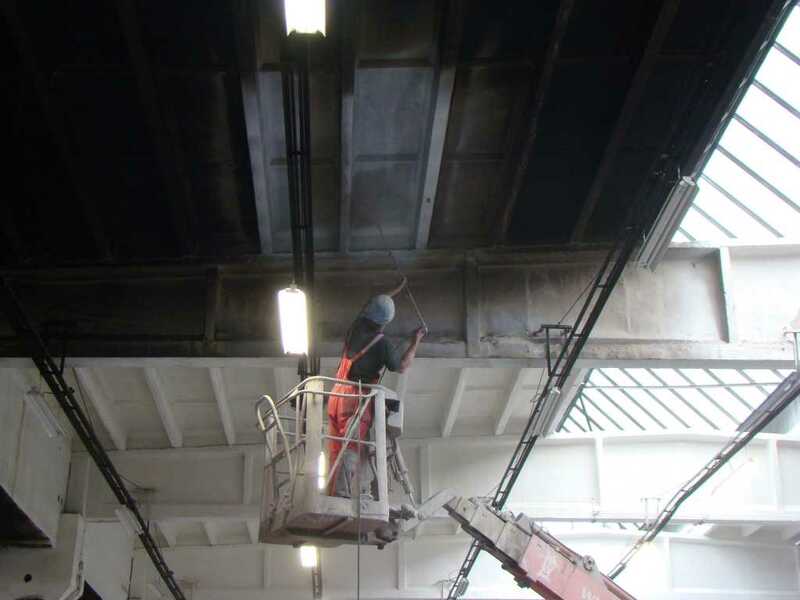 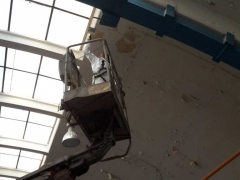 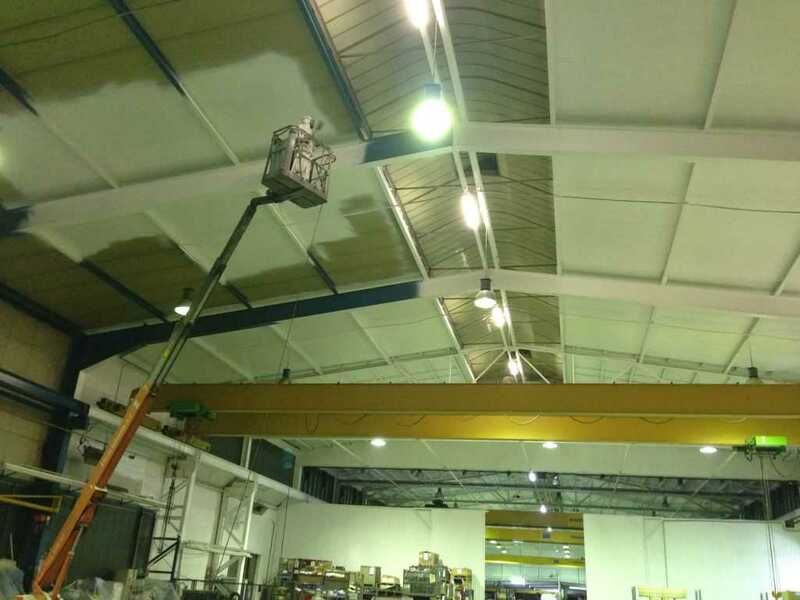 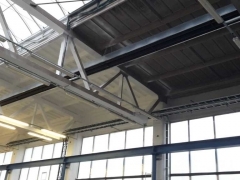 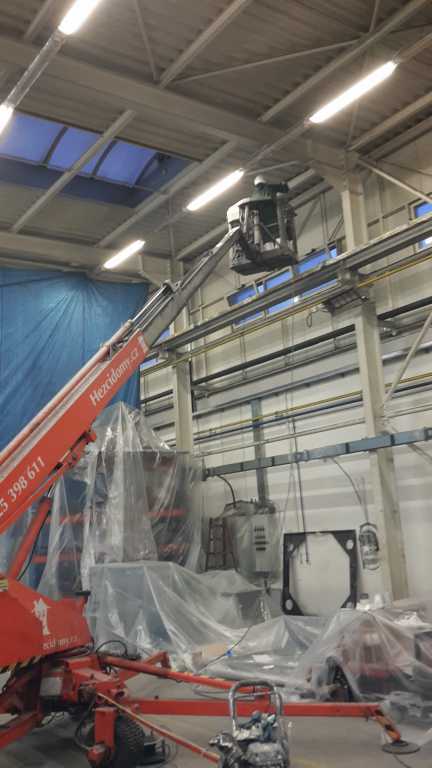 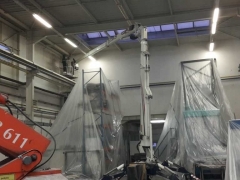 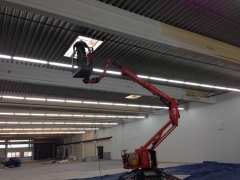 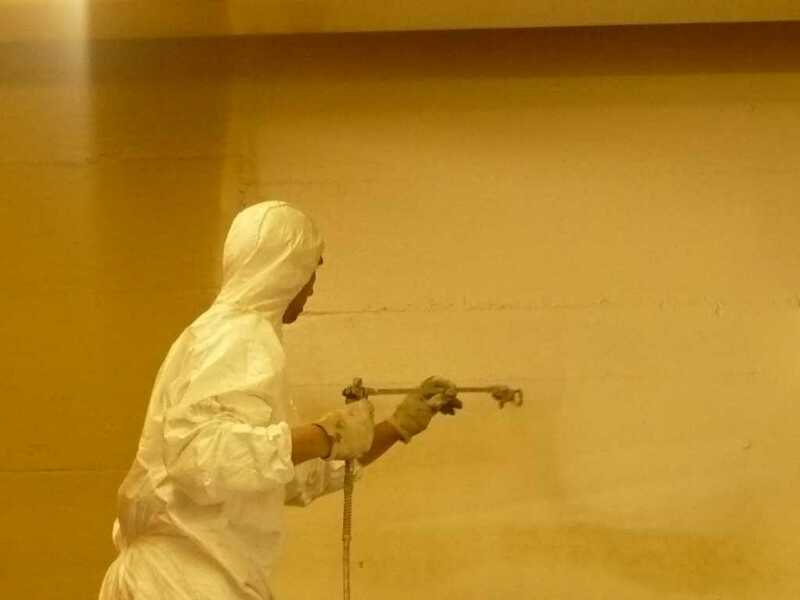 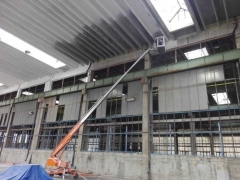 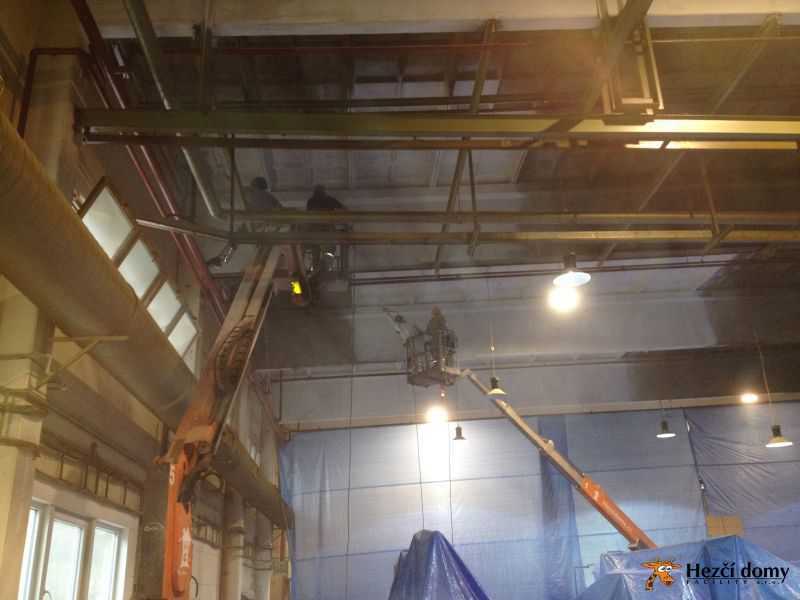 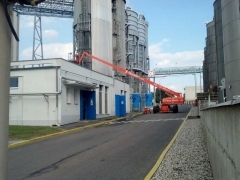 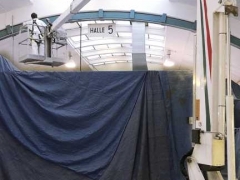 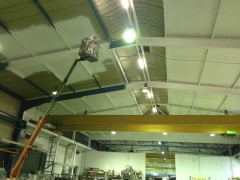 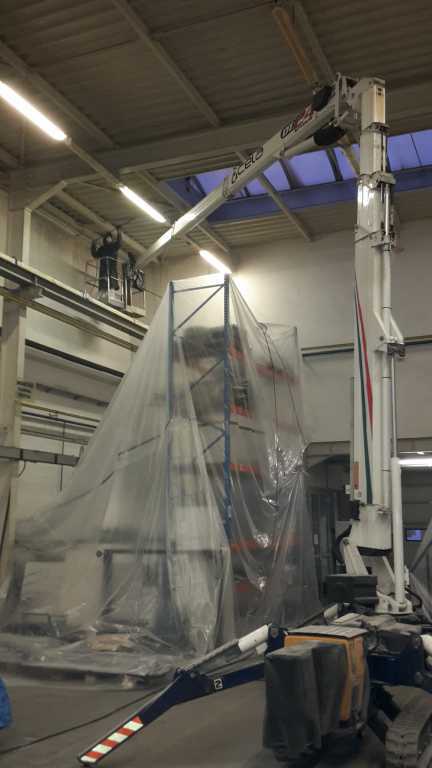 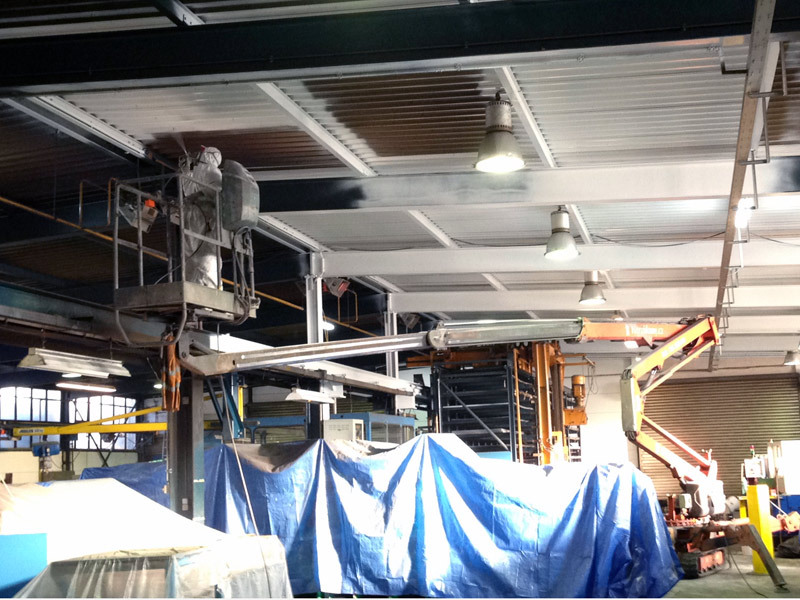 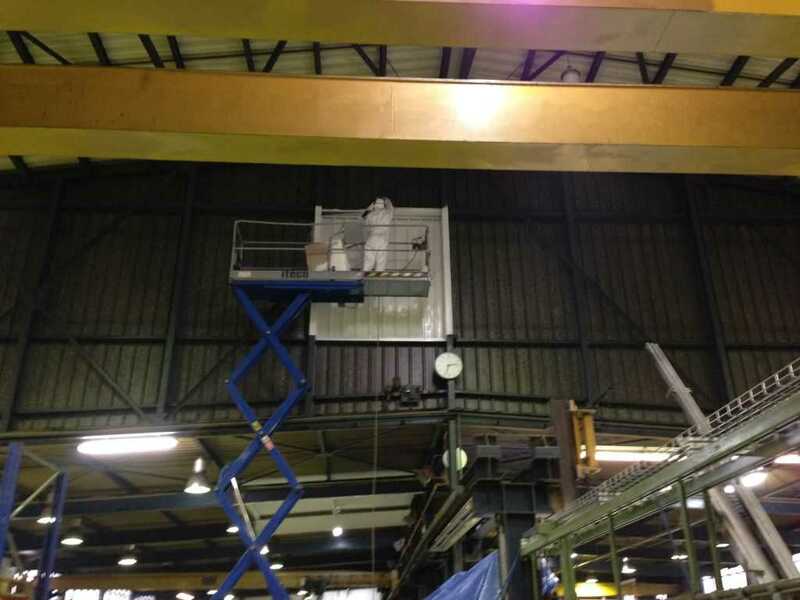 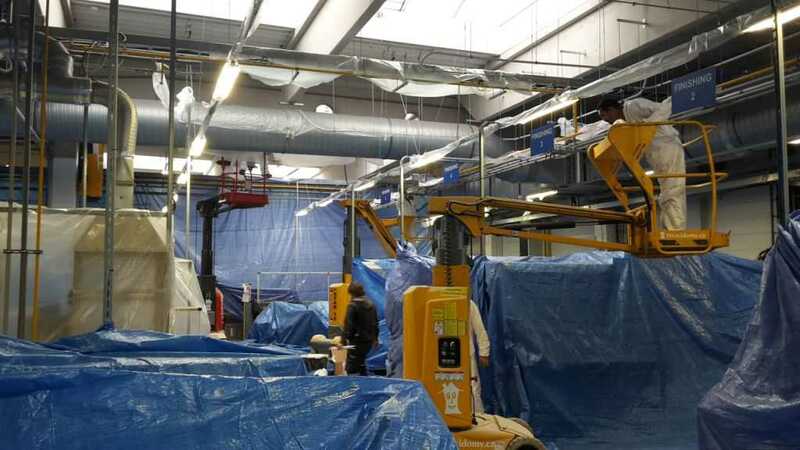 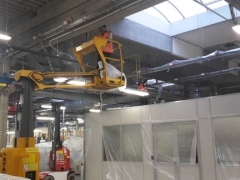 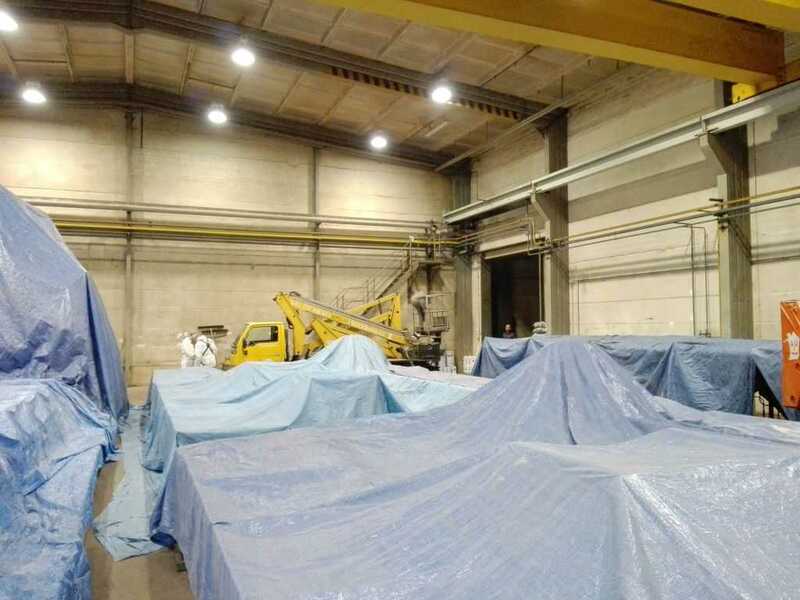 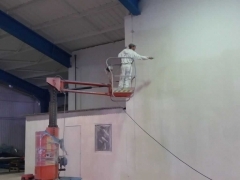 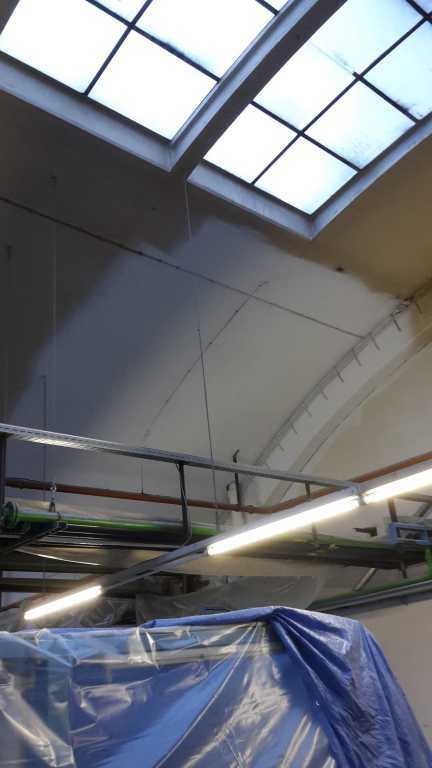 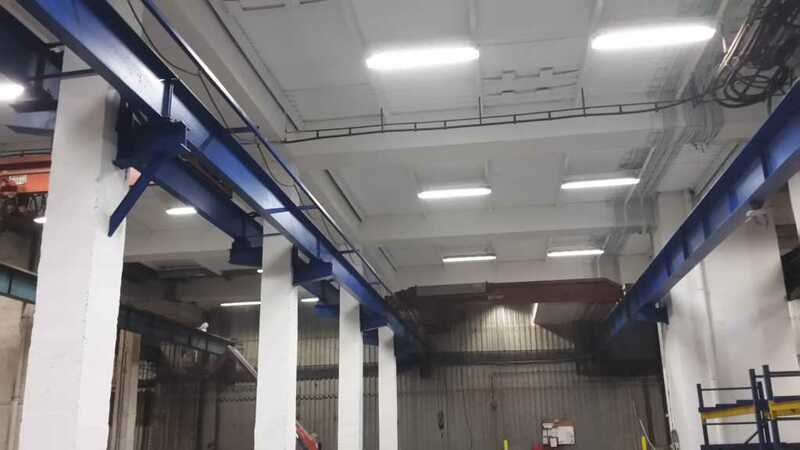 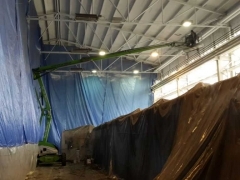 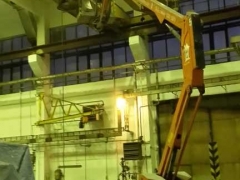 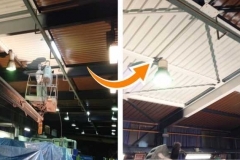 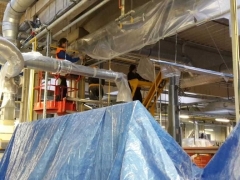 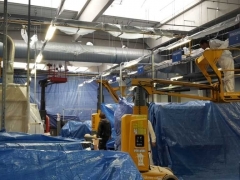 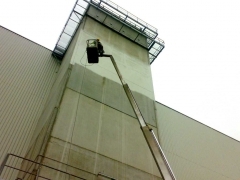 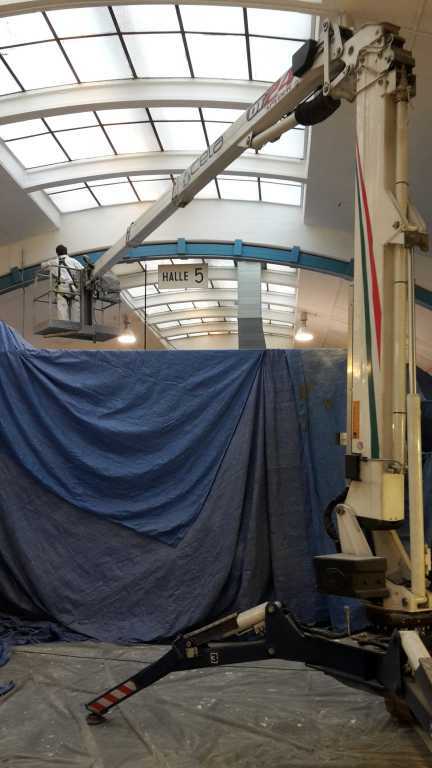 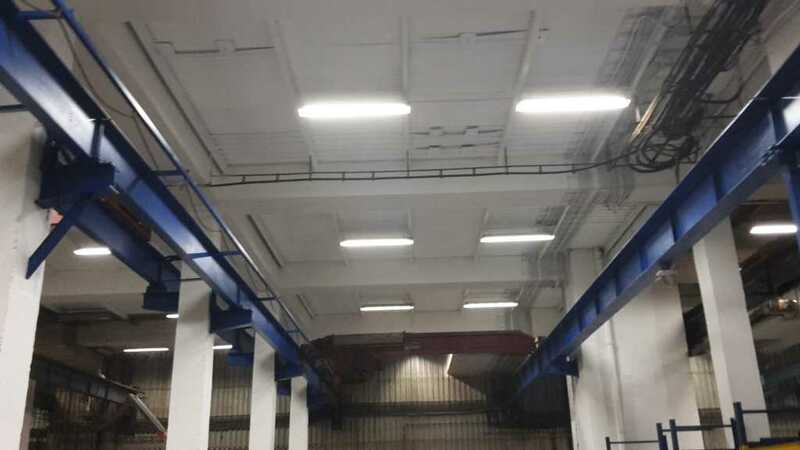 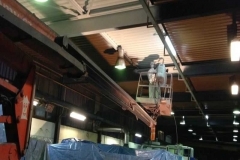 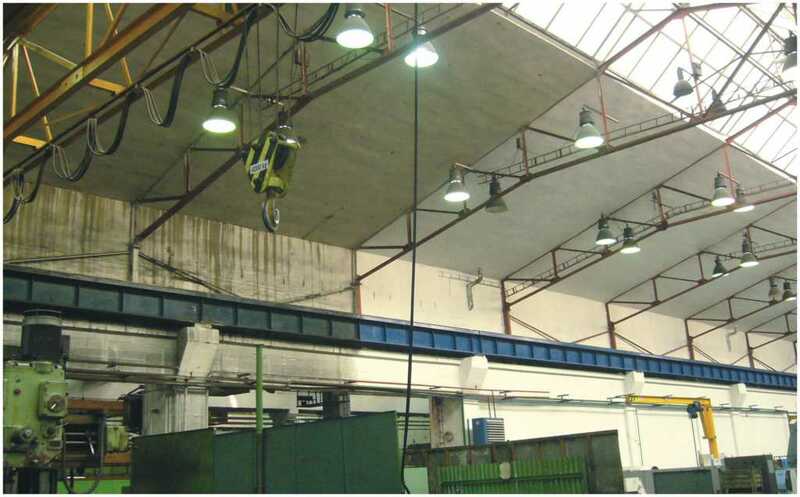 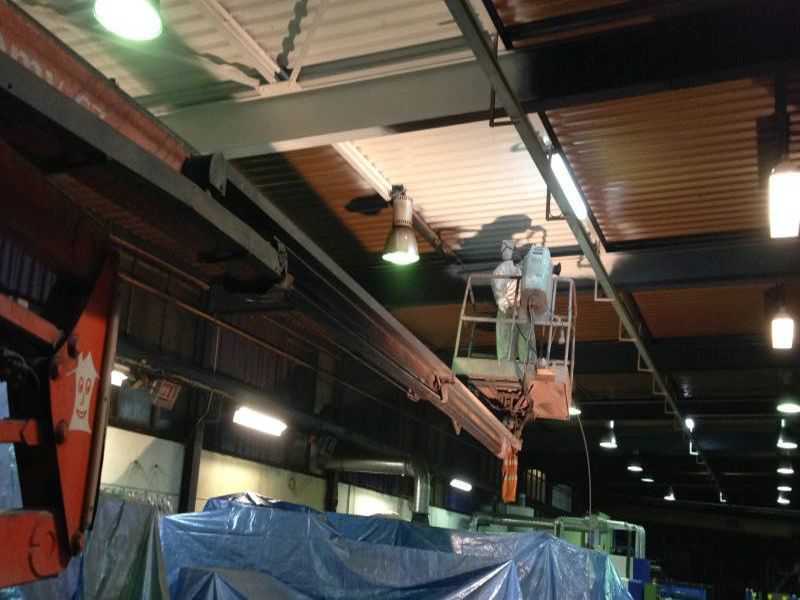 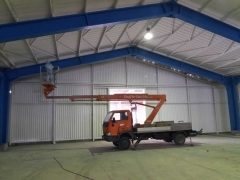 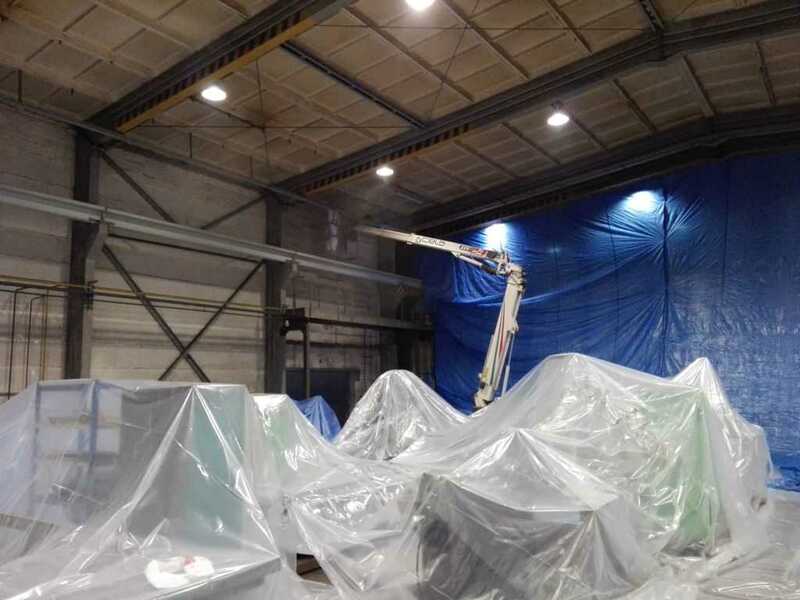 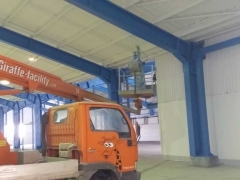 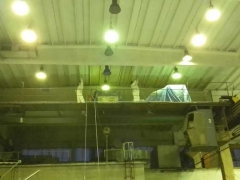 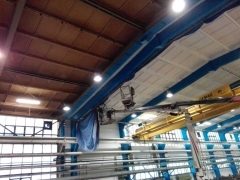 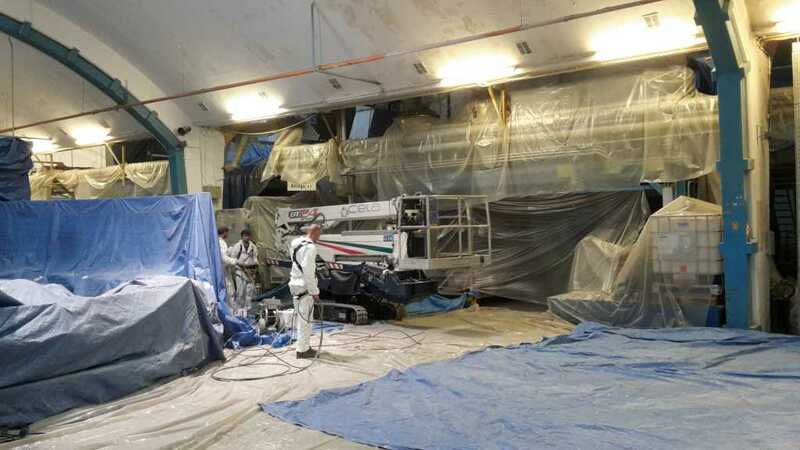 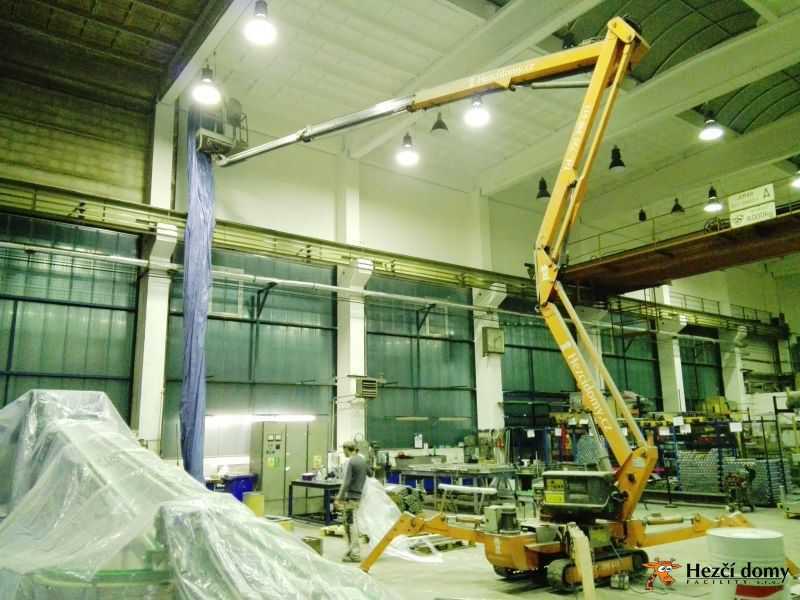 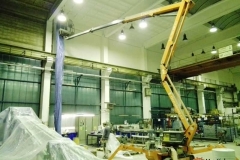 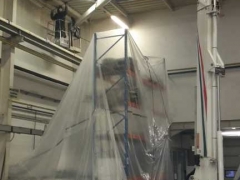 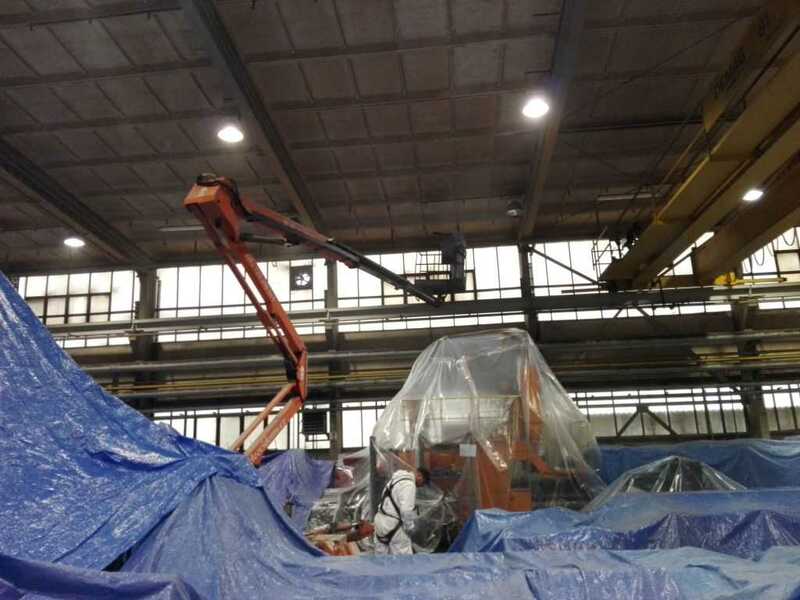 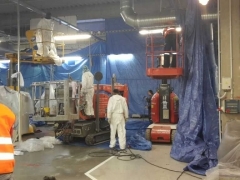 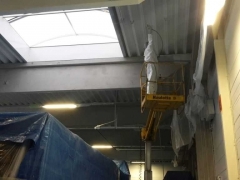 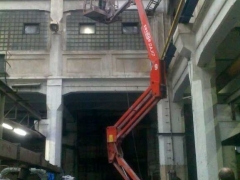 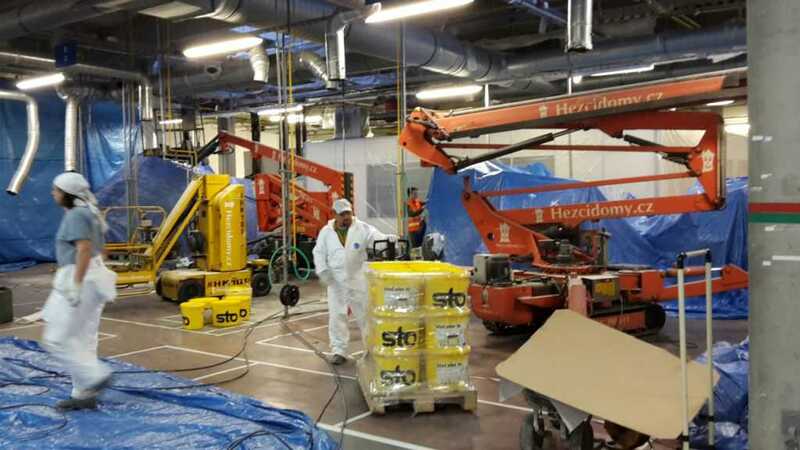 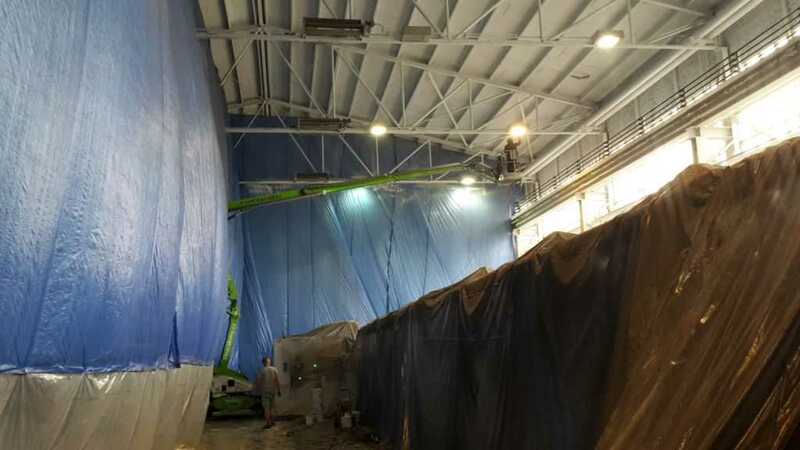 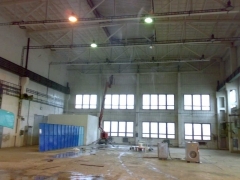 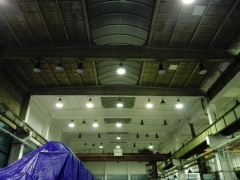 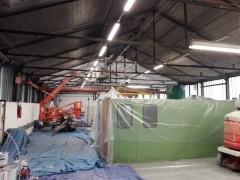 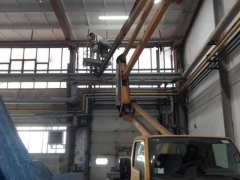 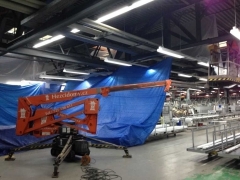 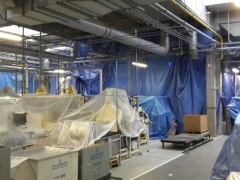 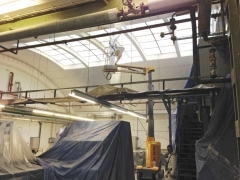 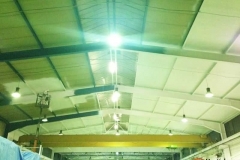 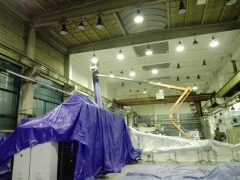 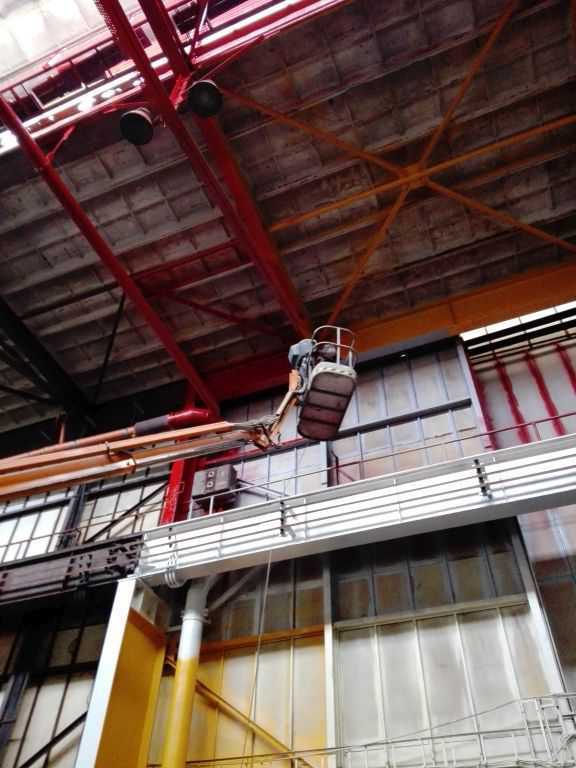 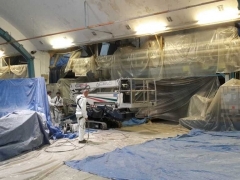 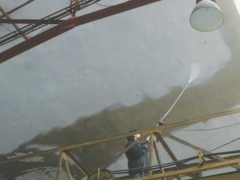 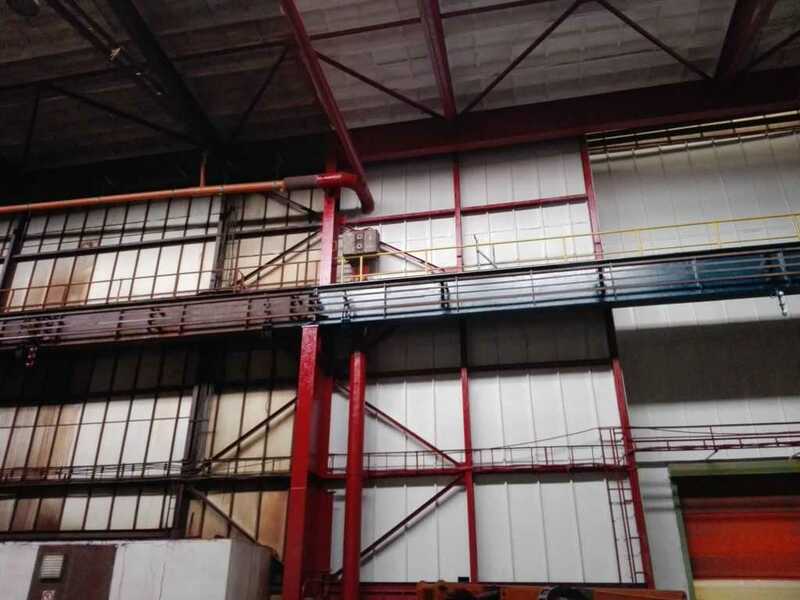 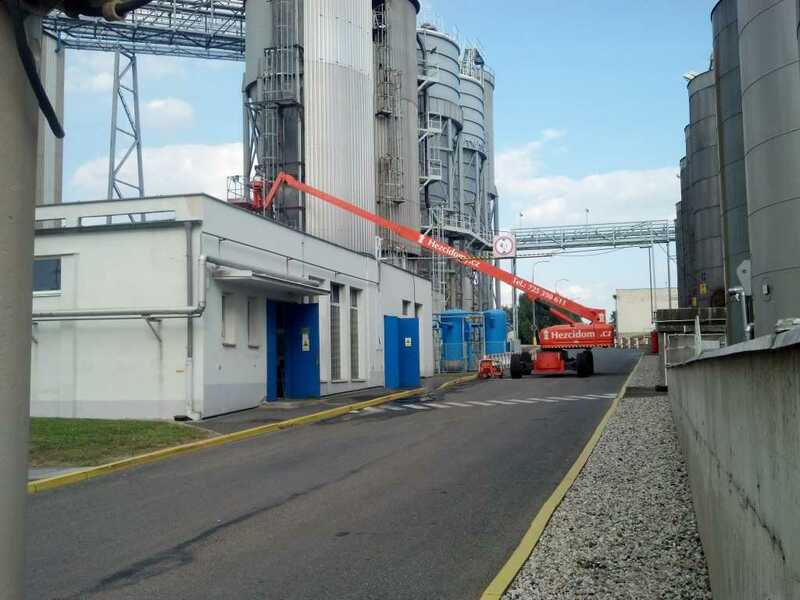 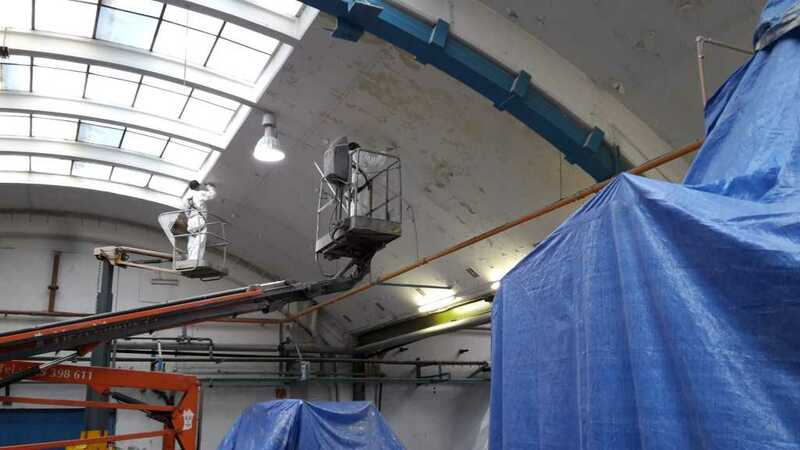 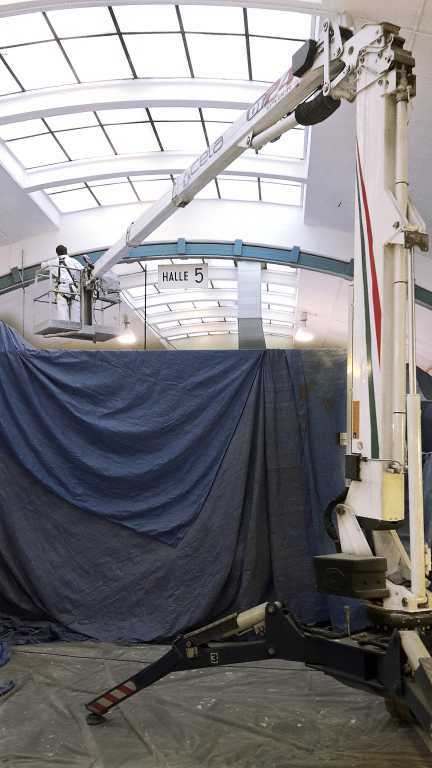 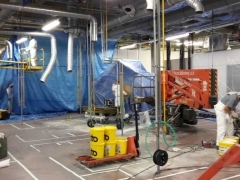 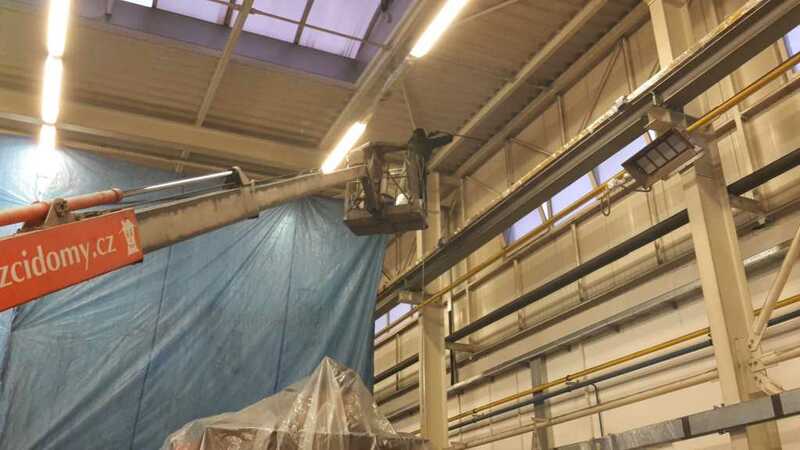 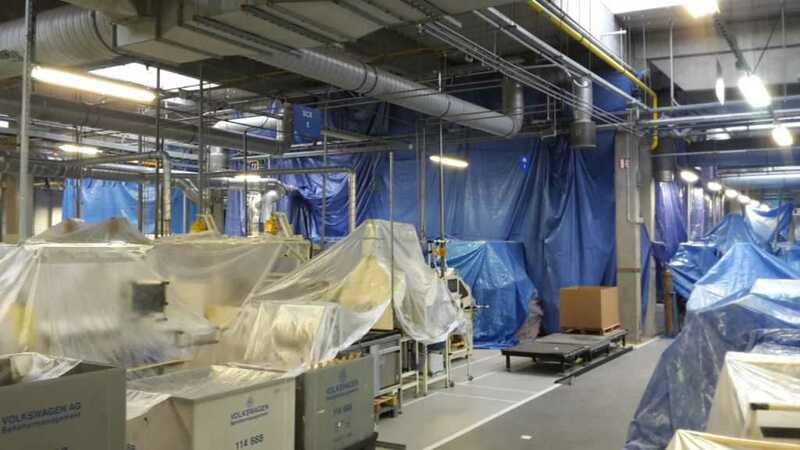 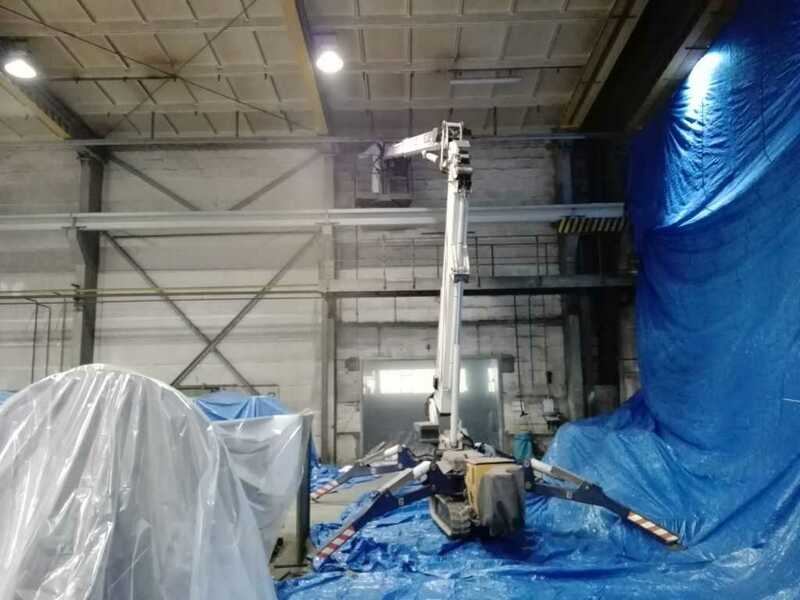 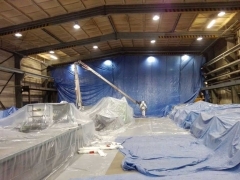 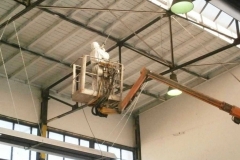 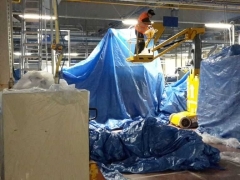 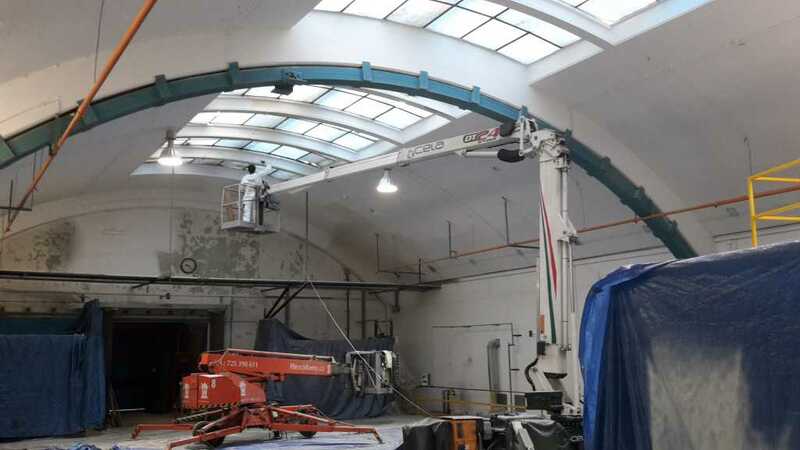 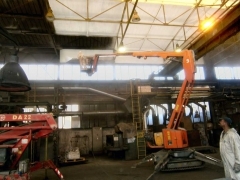 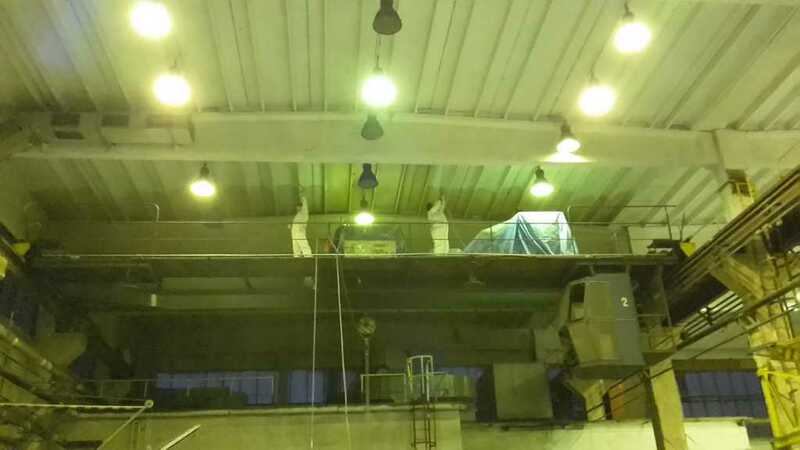 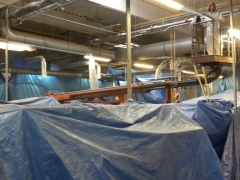 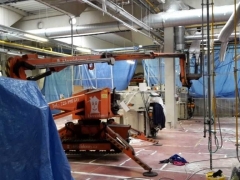 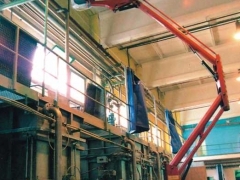 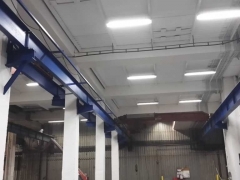 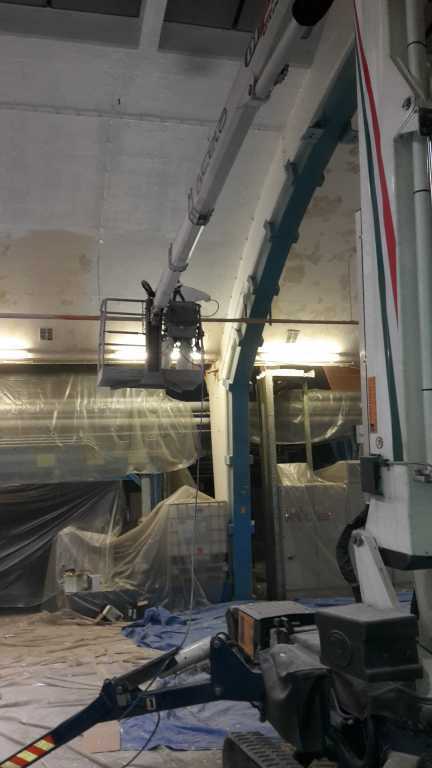 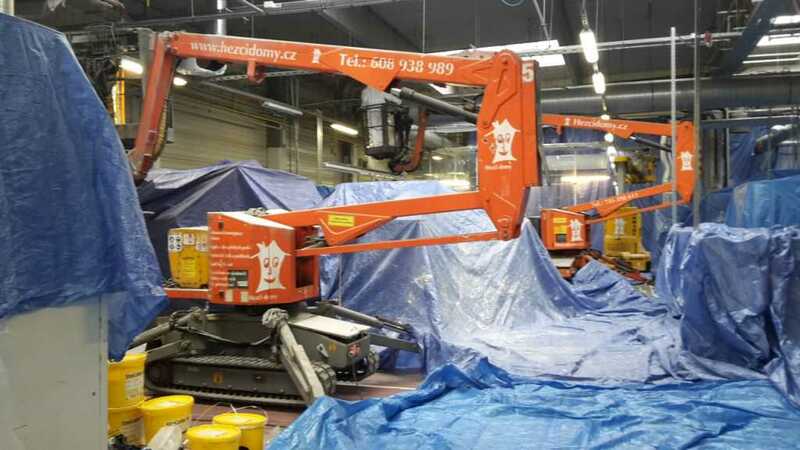 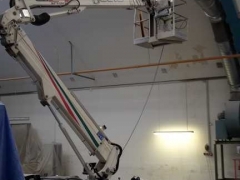 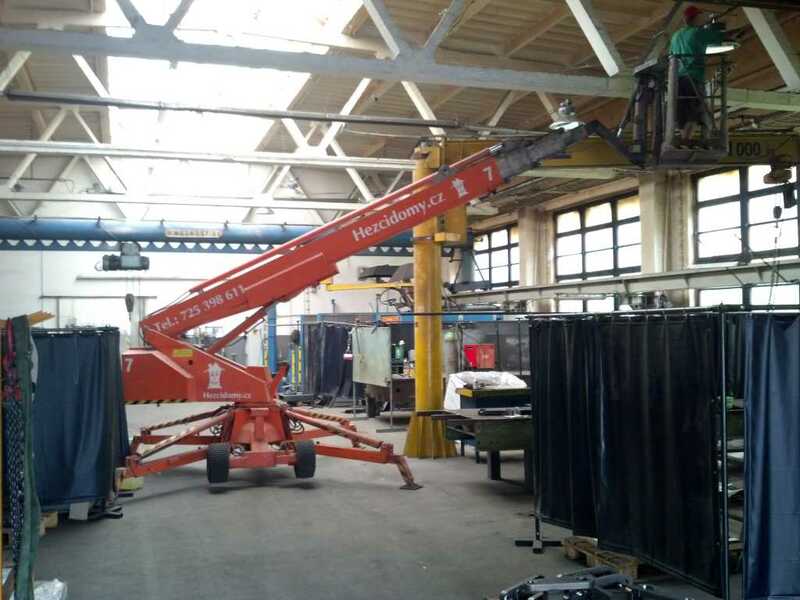 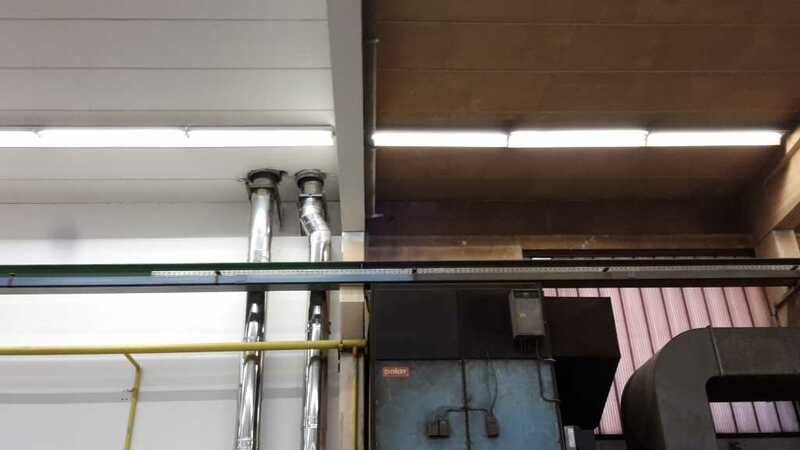 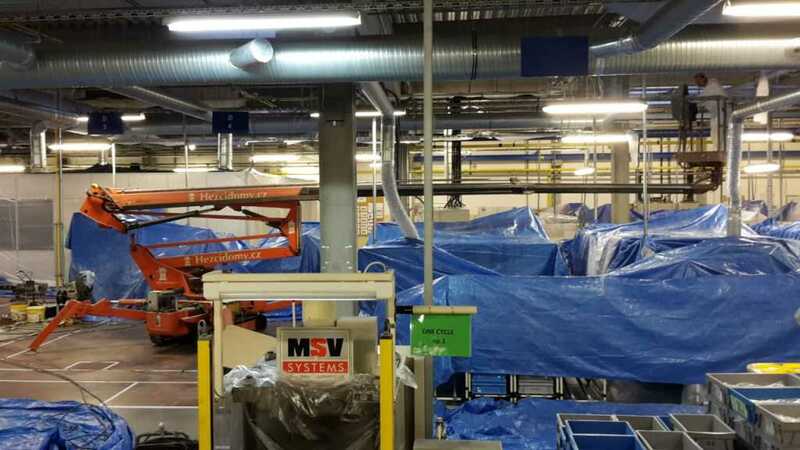 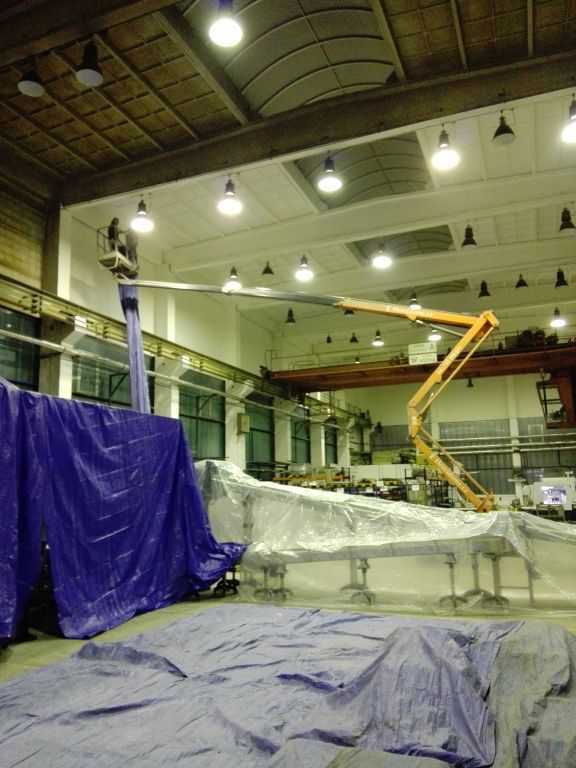 We deal with painting, cleaning and coating in factory buildings in the following areas: CZ, SK, DE, AT, southern Poland, northern Italy and BENELUX. 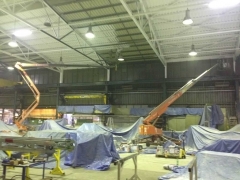 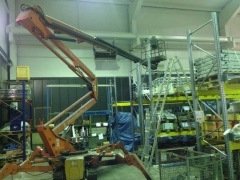 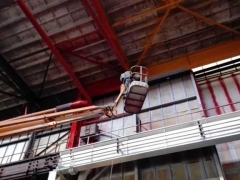 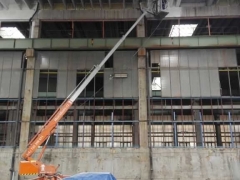 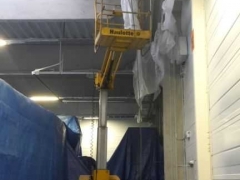 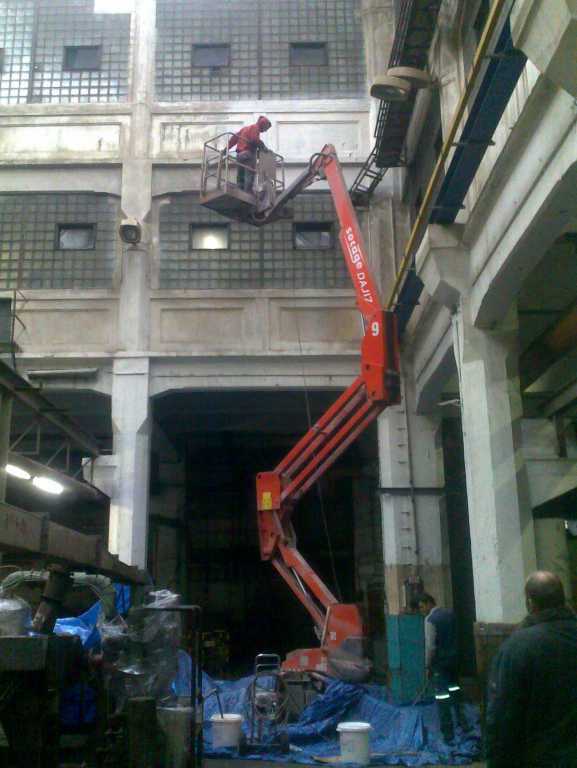 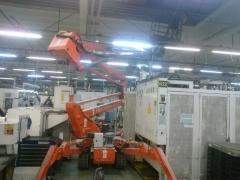 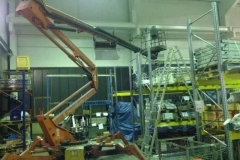 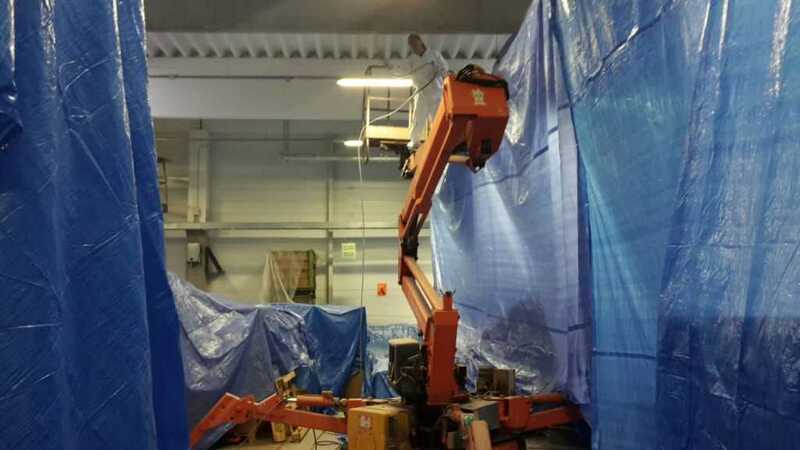 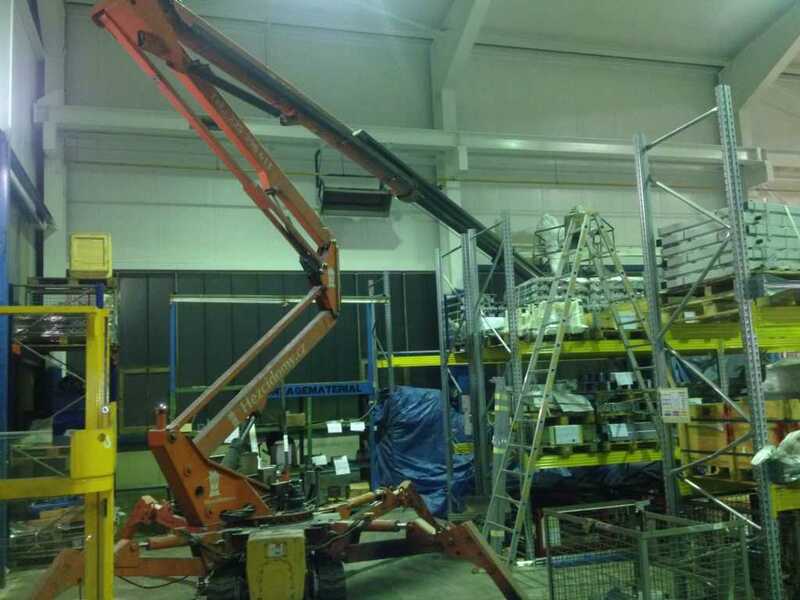 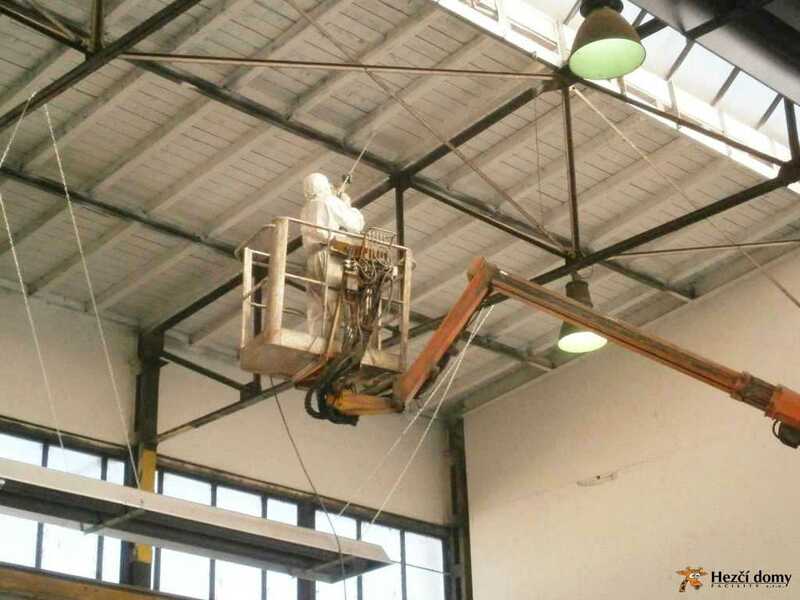 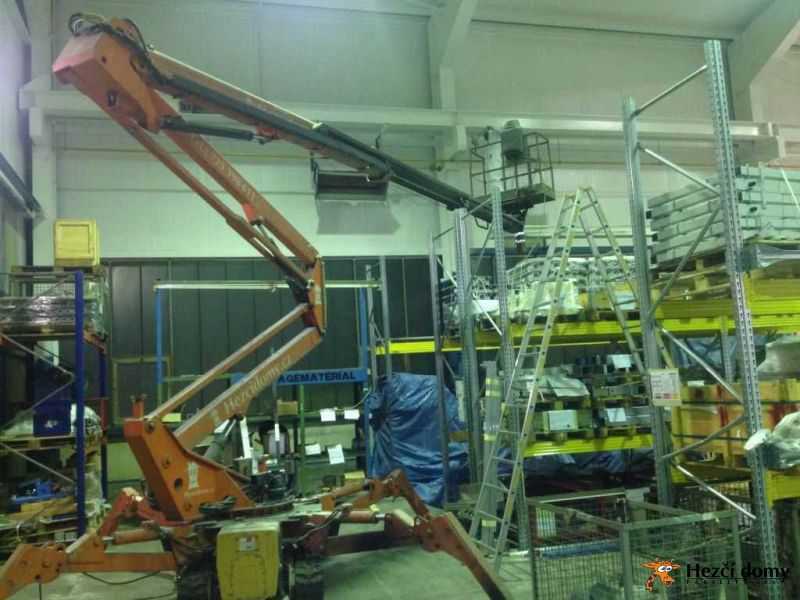 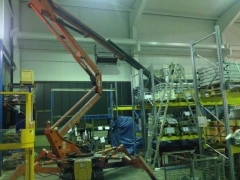 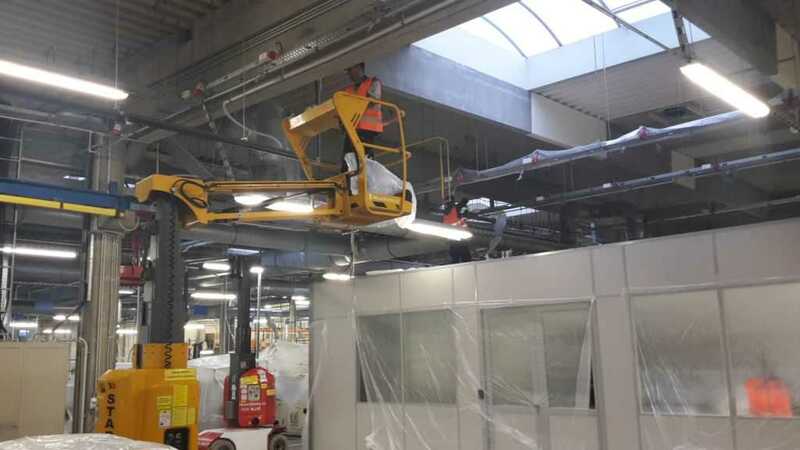 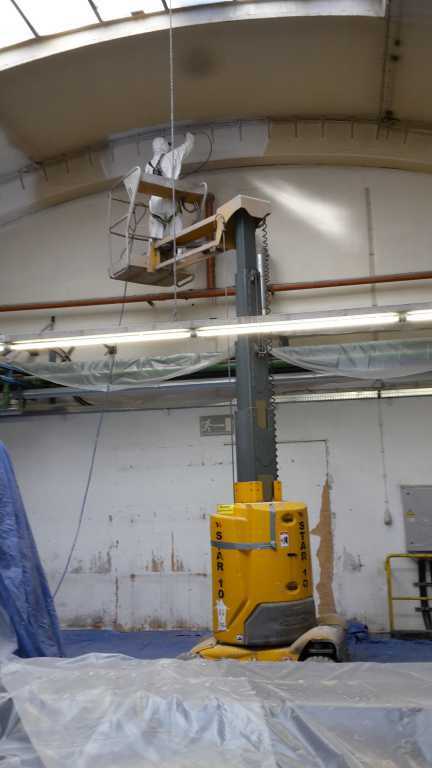 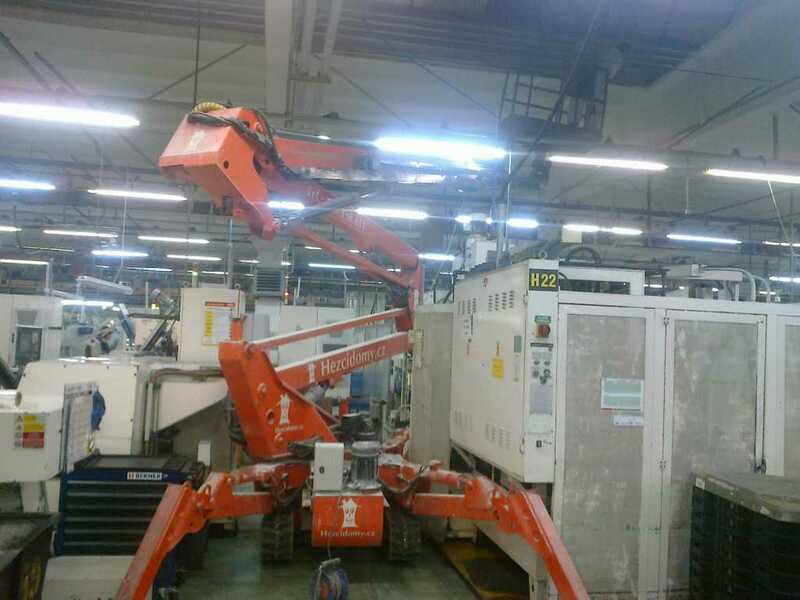 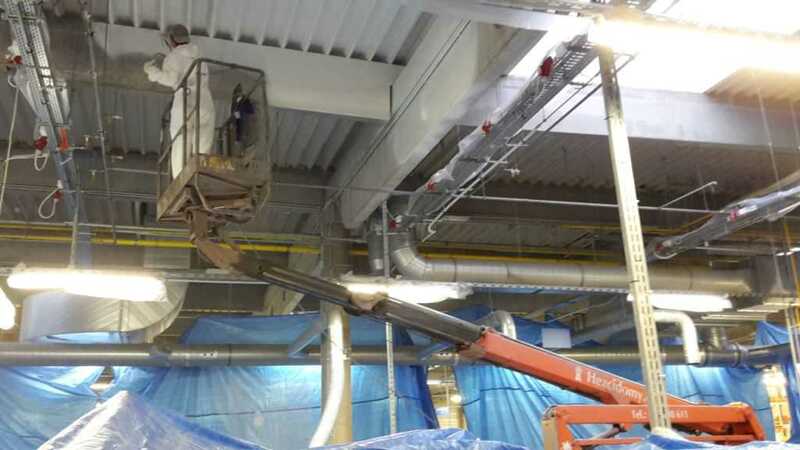 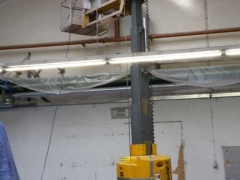 To ensure access to the heights we use our special operating platforms. 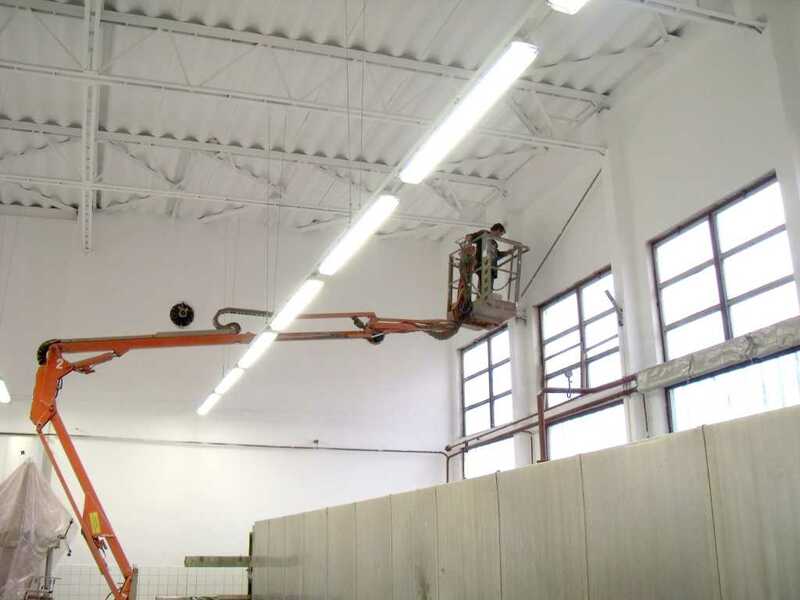 All our platforms have extreme properties to allow movement in cramped areas, height and wall to wall range. 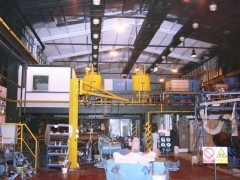 At a single facility we often combine more of them because of their different qualities.